Anyways, this week’s recipe was definitely an experiment. I had seen it on Pinterest and thought they looked amazing. Also, I needed to make something that would keep for a week since I’ll be making the rest of my cookies in a bit of a cookie making binge next weekend. Side note: when I told my mom my plans of baking for the entirety of next weekend, she immediately recommended I invite friends over to help. I had to explain to her that I actually love listening to Christmas music and spending the day alone in my kitchen making cookies. If that makes me an introvert I’m totally OK with that. So, it starts off pretty straight forward. 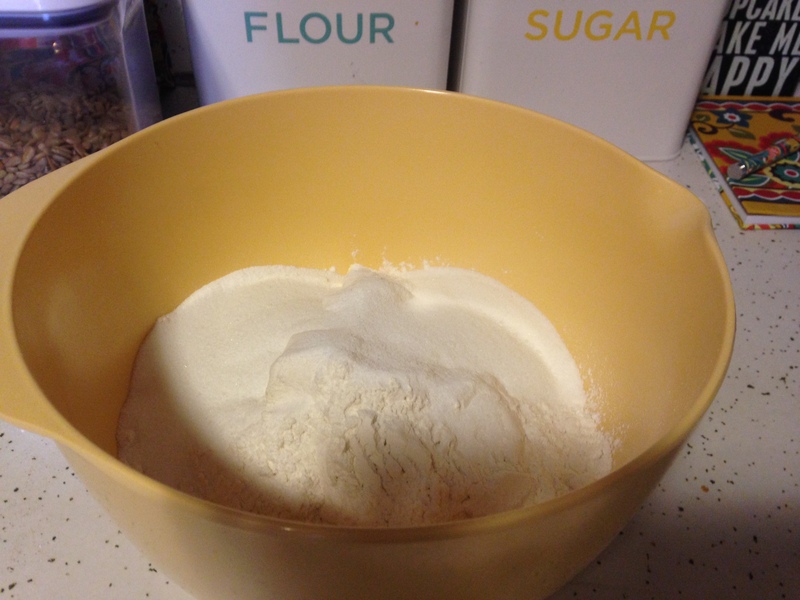 Whisk together the flour, baking powder, and salt in a small bowl and set aside. 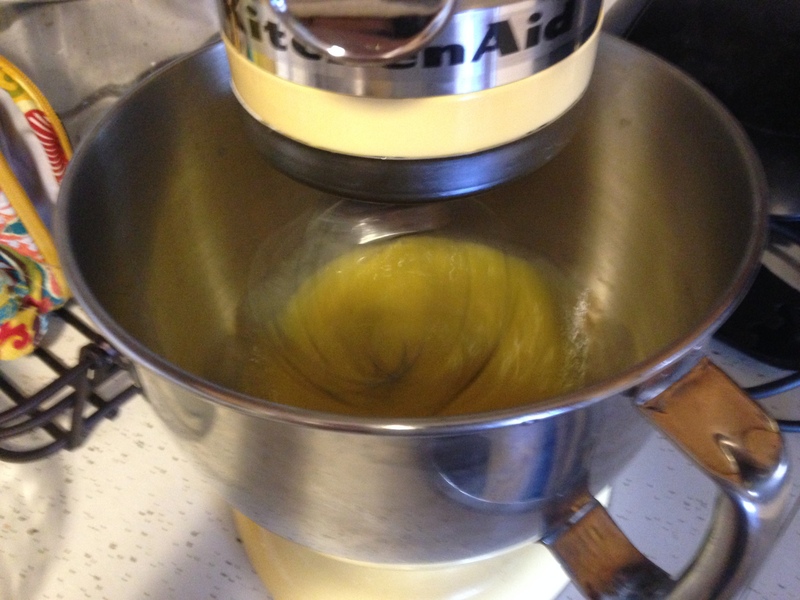 Then, combine the butter and sugar in the bowl of a stand mixer and beat on medium speed for about 2 minutes, or until fluffy. 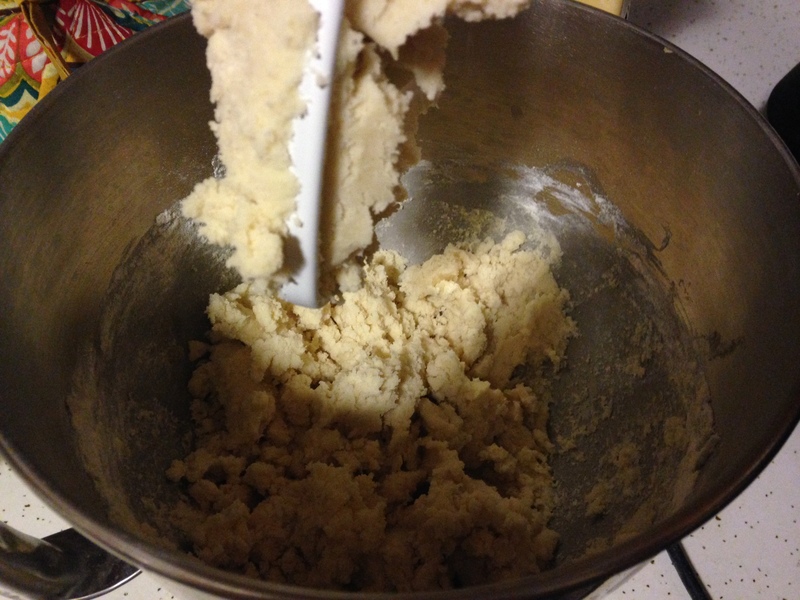 Add the flour mixture to the butter mixture and beat on low speed until just combined. It will be in smallish pieces. 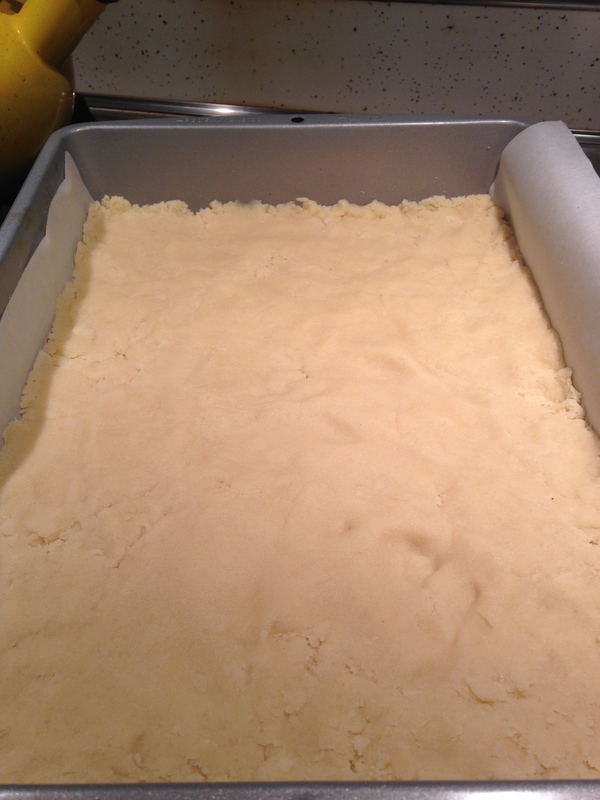 Press the dough into the bottom of a 9×13 inch pan lined with parchment paper. You don’t want to skip the parchment paper on this one – it’s going to come in very handy when you go to cut the bars later. Bake at 325°F for about 15 minutes or until edges are golden. Put on wire rack to cool completely. At this point, I was cruising along, feeling totally fine about my decision with this recipe. My shortbread layer looked great, life was good. Then, I came to the caramel layer. 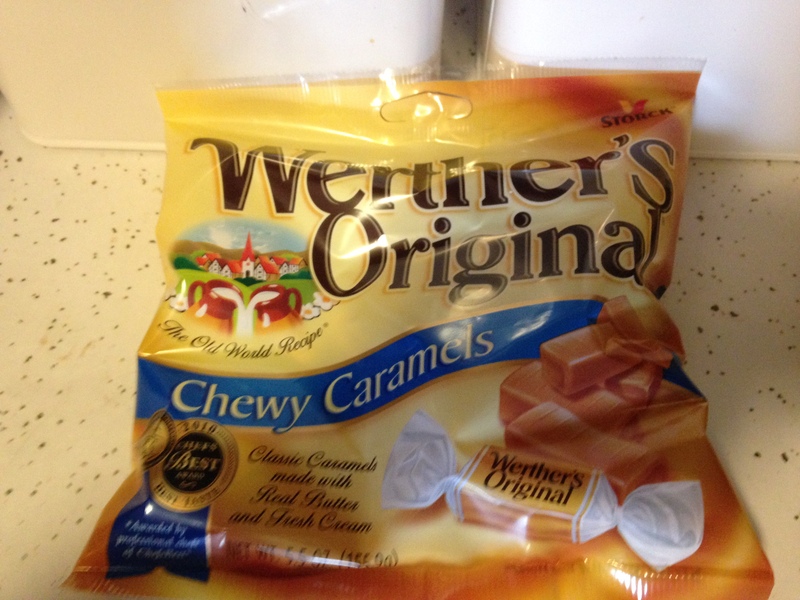 Now, I think I’ve discussed my fear of caramel before, but I couldn’t find the post to reference, so I’ll say it again: I am always afraid that I will burn the sugar. And burnt sugar is possibly the worst smell ever. It’s amazing that something so sweet and innocent can turn so vile and disgusting in about 5 seconds flat. 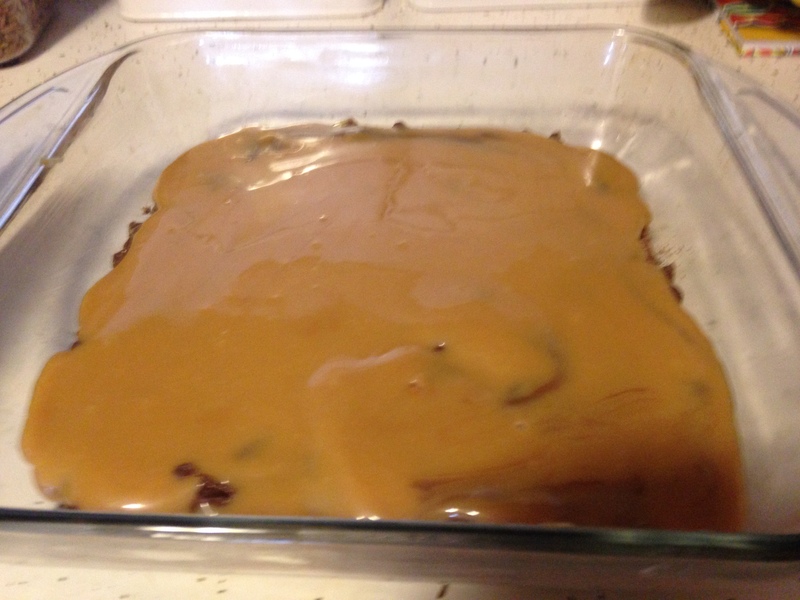 To add to this fear, this particular recipe called for a different combination of things to make the caramel than I was used to. 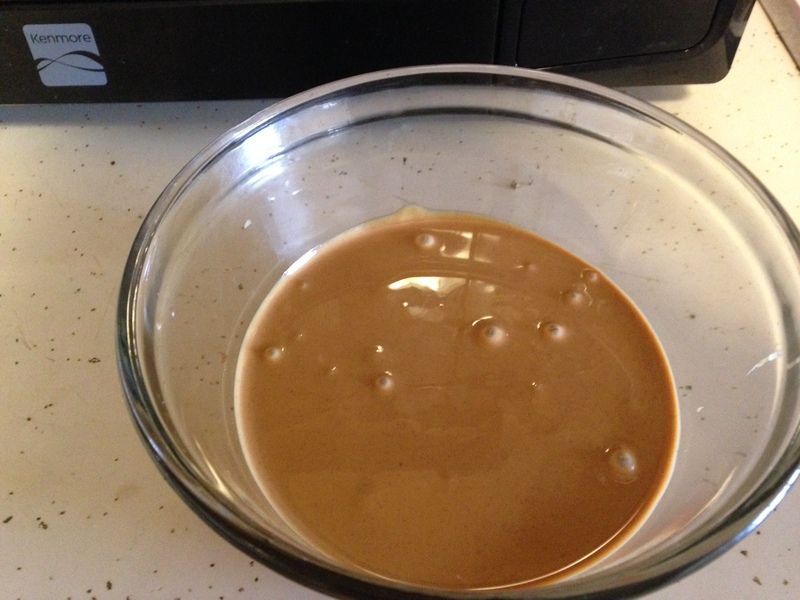 I’ve made caramel using actual caramels and melting them with sweetened condensed milk. I’ve made it with just sugar and butter. 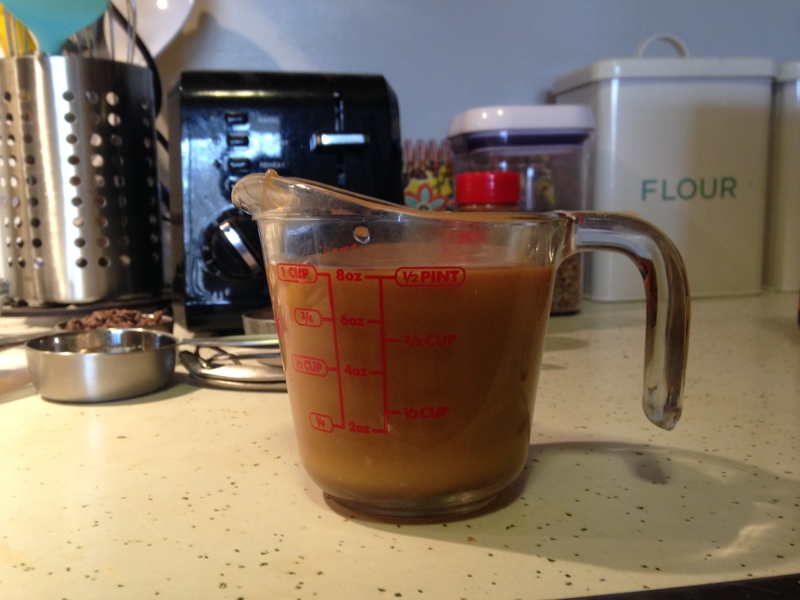 But this called for a weird combination of the two: butter, sugar, karo syrup, and sweetened condensed milk. 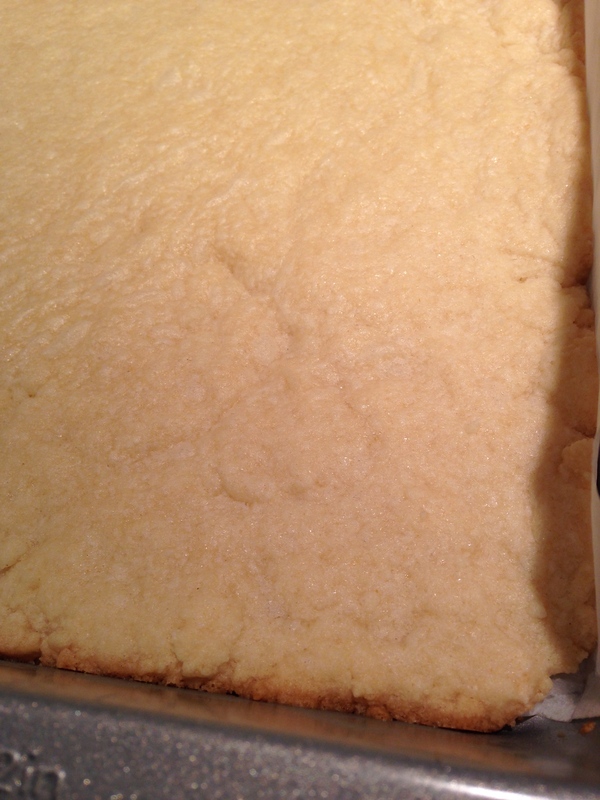 However, the shortbread had gone beautifully, so I had no reason to doubt the recipe yet. I went ahead and trusted it. 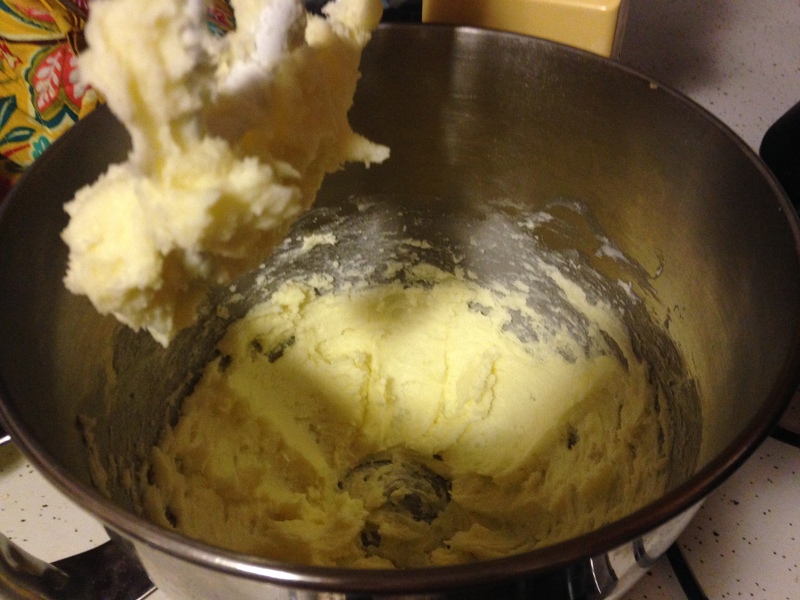 I combined the four ingredients in a medium saucepan, heating it over medium heat until the butter melted, stirring frequently. Then, I increased the heat to medium high, hoping to bring it to a boil while stirring constantly, after which I would reduce the heat to a simmer and continue to stir constantly until it turned amber in color. Alas, it was not to be. I began to notice little flecks of amber in my supposed caramel. I was pretty sure that wasn’t how it was supposed to work, but I pushed on. Turns out, my sugar found its way into the corners (round pans don’t have corners, but you know what I mean) of my saucepan and begin to do that terrible thing where it burns. Even my constant stirring didn’t prevent it. 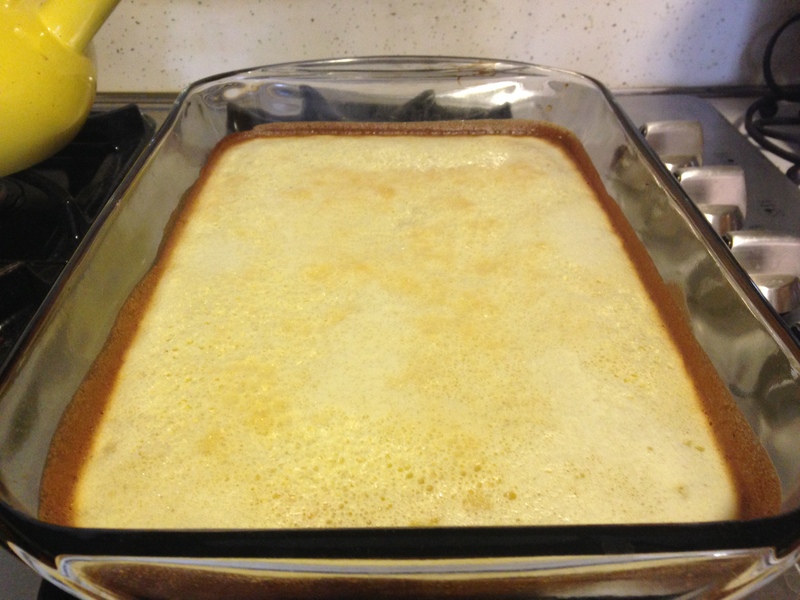 When I realized what was happening, I turned the heat down to simmer and just stirred until it turned less bright whitish-yellow than sweetened condensed milk, and called it a caramel, which I then poured over the shortbread layer. 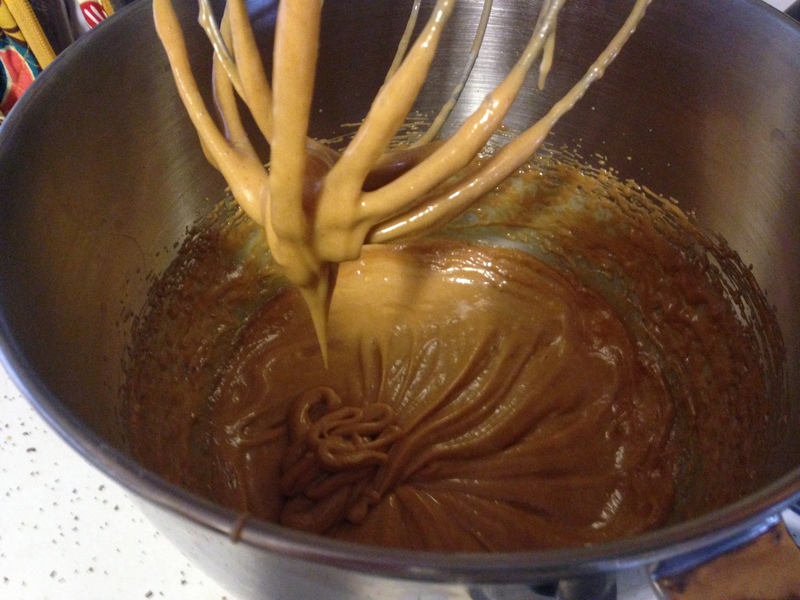 Now, it may be that I was just overconfident and got lazy, and your caramel layer may turn a beautiful amber. 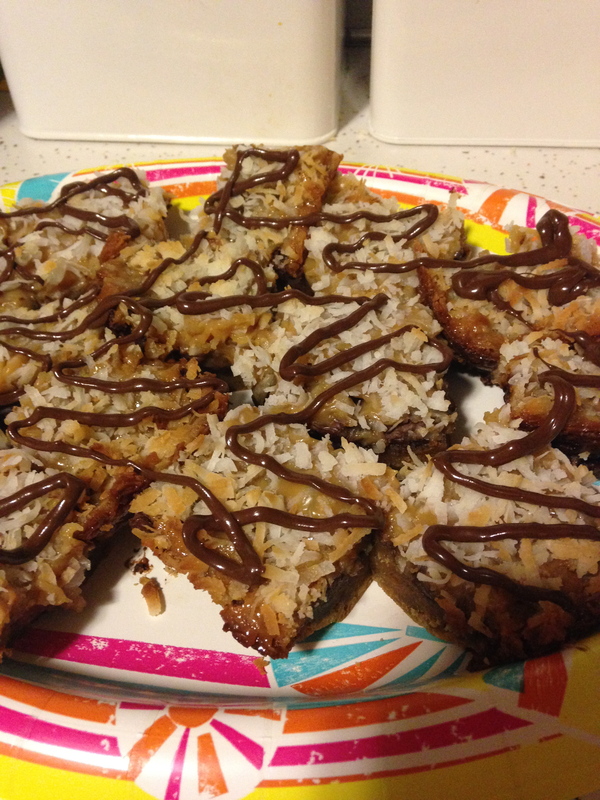 But I think if I were to make these again, I would use the caramel from my Peanut Butter Samoa Bars recipe instead of the one they had here. 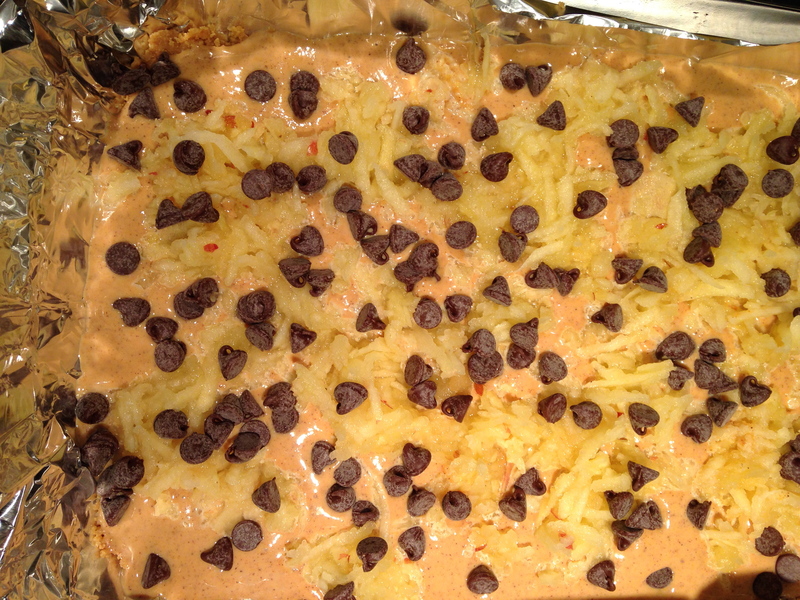 Fortunately, the end result, though maybe not as caramel-y as it was supposed to be, is still 100% delicious. 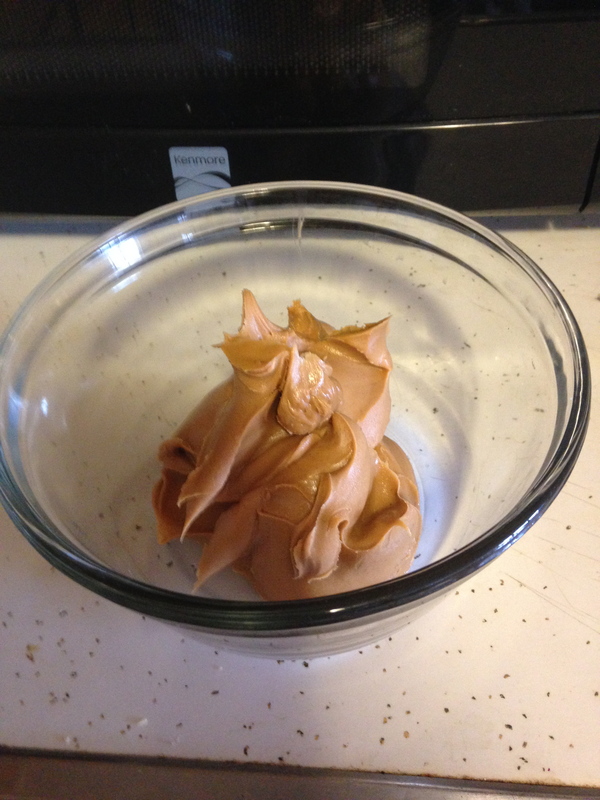 After letting the caramel cool for a bit, I put it in the freezer to chill overnight. You definitely don’t have to let it chill that long, I just didn’t feel like finishing it last night. For the chocolate layer, I did decide to stray from the recipe’s suggestion of a double boiler and used the microwave method instead. 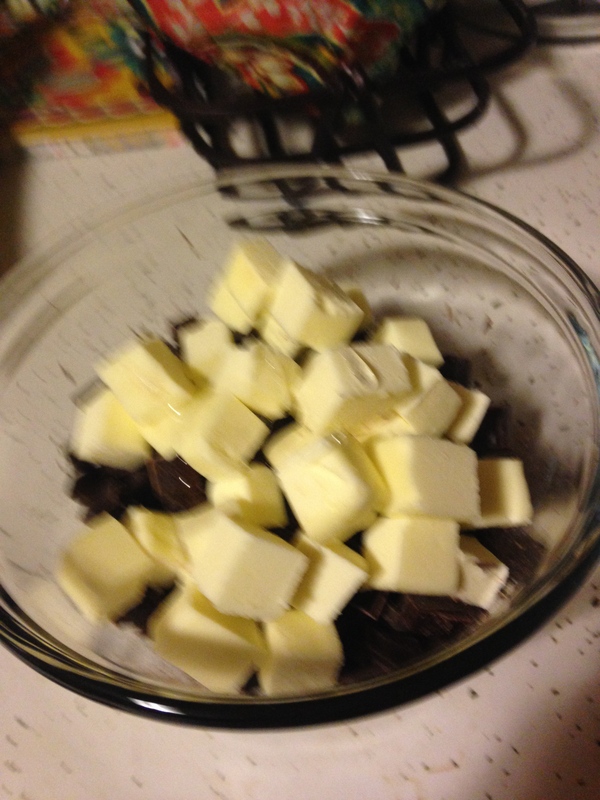 Combine the butter, chocolate, and karo syrup in a microwaveable bowl. 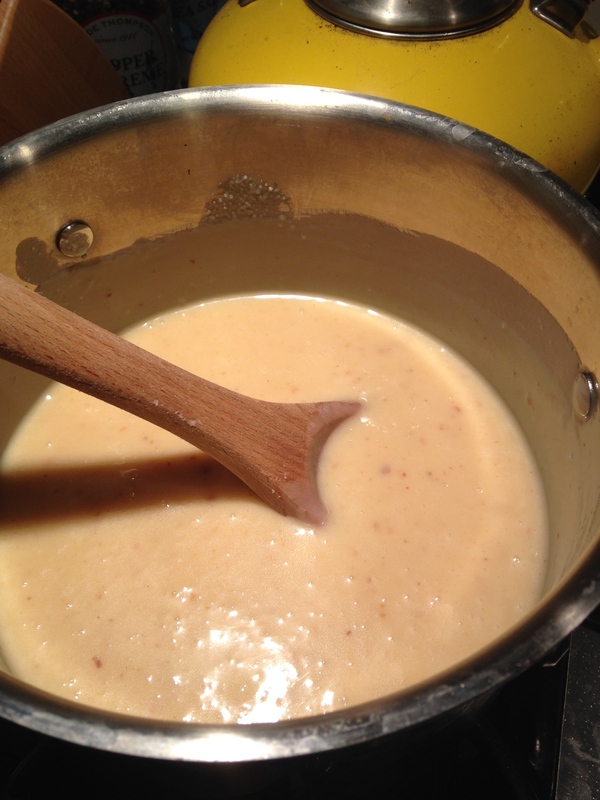 Heat in 15 second intervals at 50% power, stirring after each interval, until smooth. 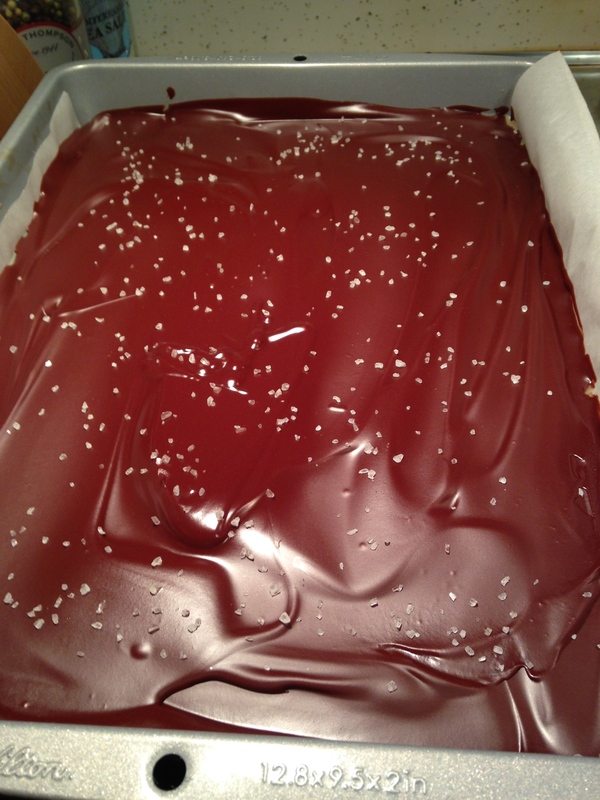 Pour the chocolate layer over the caramel layer and sprinkle with sea salt. Chill until ready to cut and serve. These will keep in the freezer (and taste better out of the freezer), for as long as you want. I cut them into bars and wrapped them individually in plastic wrap, but that’s more because they’ll be going in tins later. End product: a slightly less caramel-flavored Twix bar. 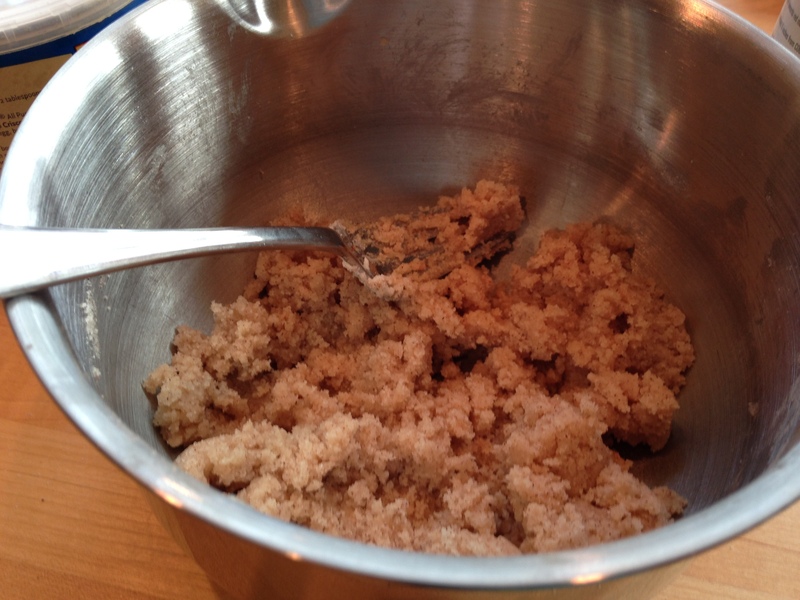 Combine the flour, baking powder, and salt in a small bowl and set aside. 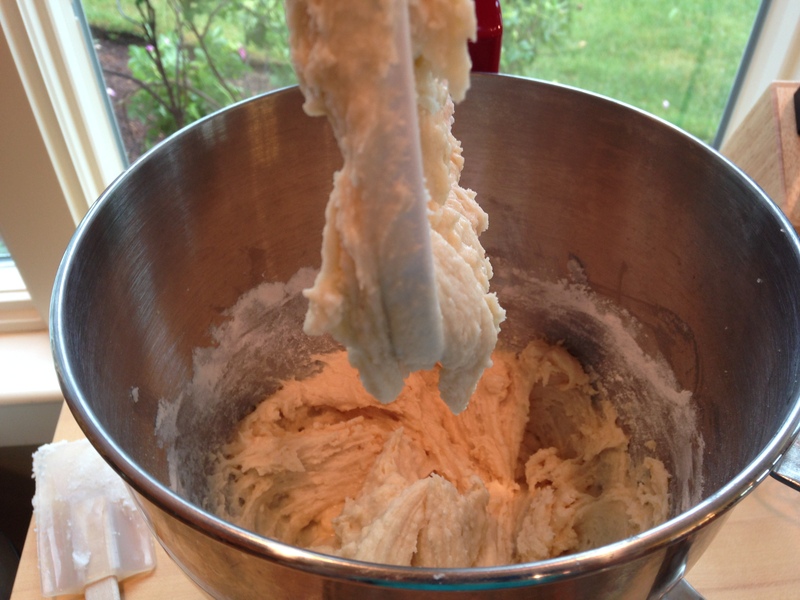 In a stand mixer, beat together the butter and sugar using the paddle attachment on medium speed for 2 minutes. 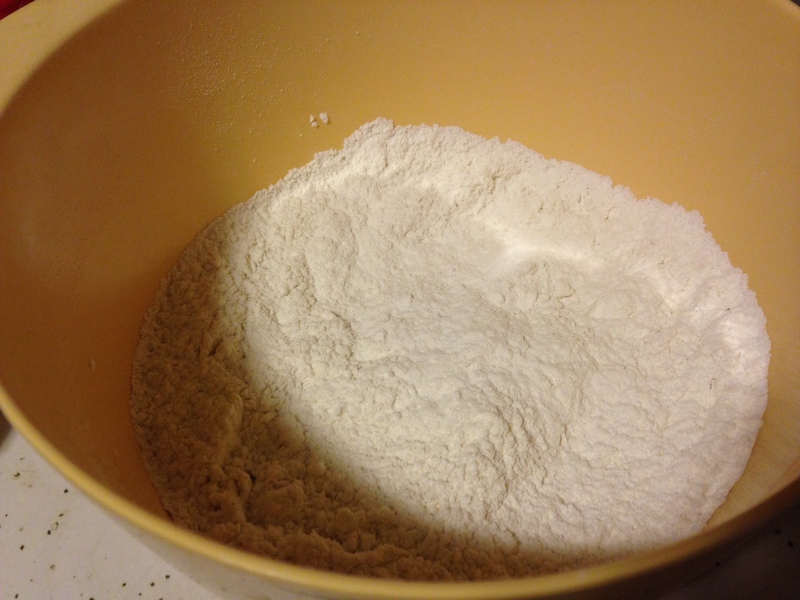 Add the flour mixture and beat on low speed until just combined. 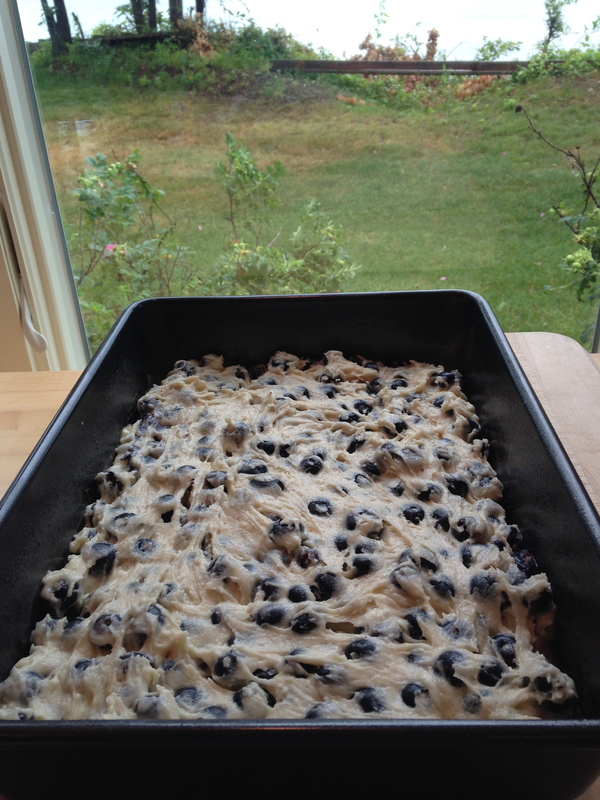 Press the dough into the bottom of a 9×13 inch pan lined with parchment paper. Bake at 325°F for 15 minutes or until edges are golden. Allow to cool completely on wire rack. 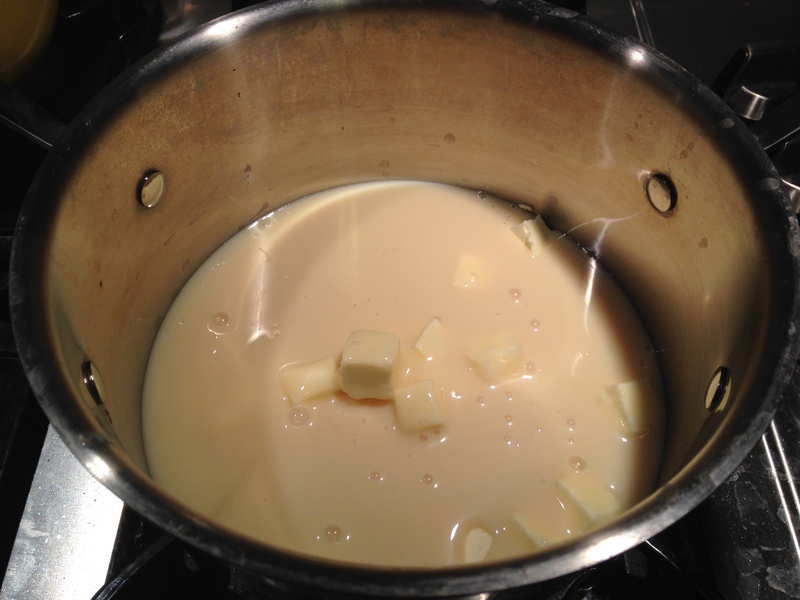 Combine butter, sugar, Karo syrup, and sweetened condensed milk in a medium saucepan over medium heat. 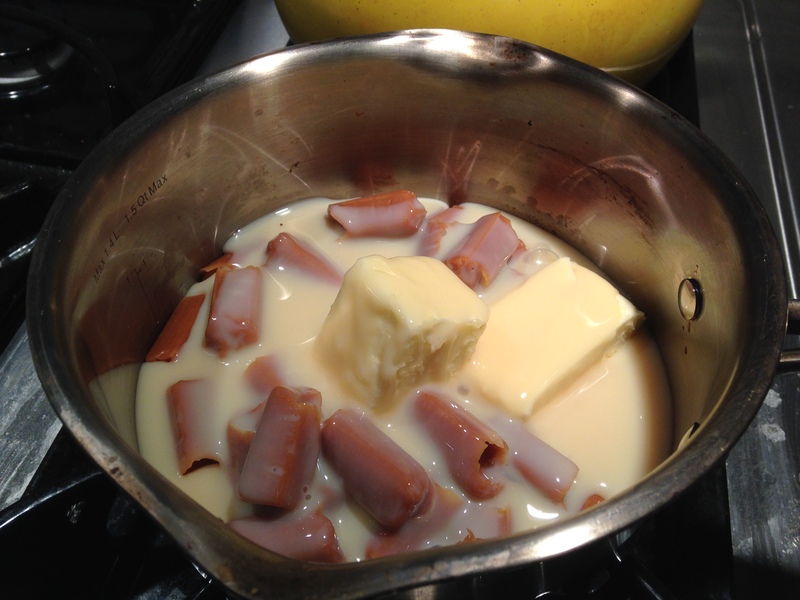 Stir frequently until butter is melted. 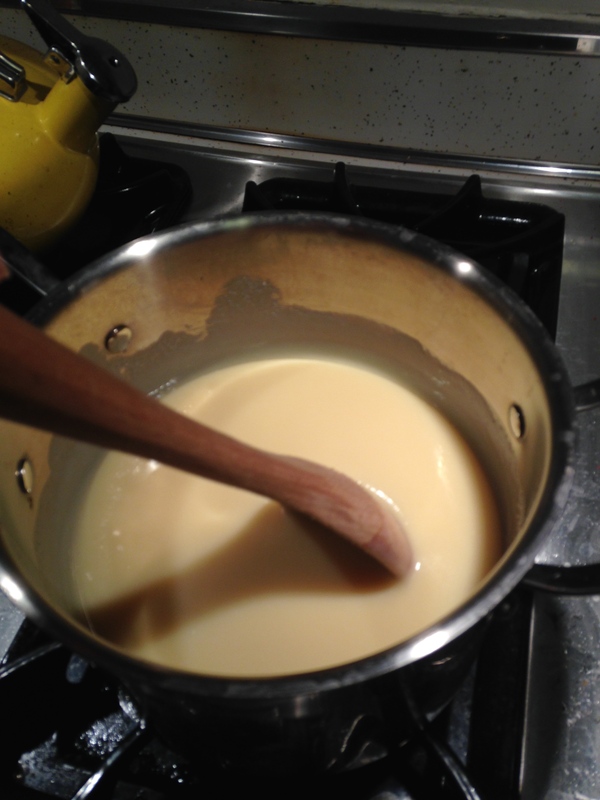 Increase heat to medium high and bring to a boil, stirring constantly (including in the corners). 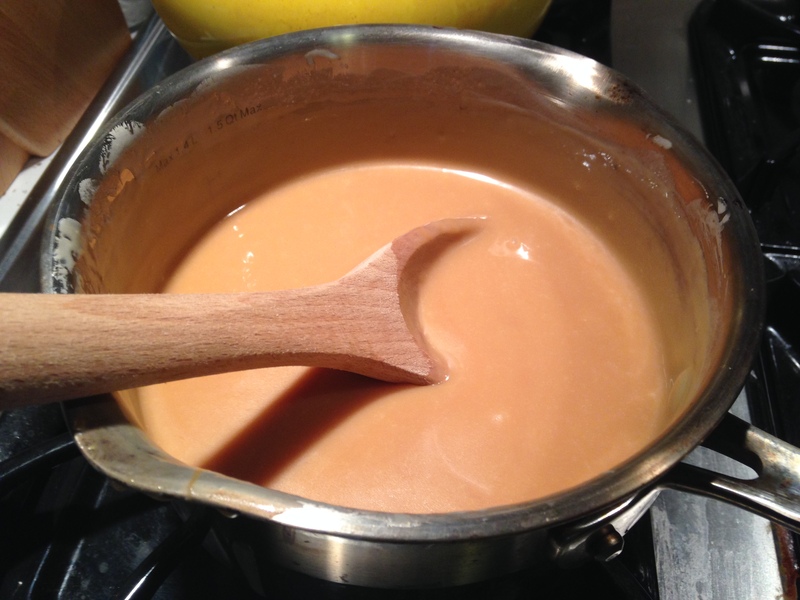 Reduce heat to simmer and continue to stir constantly until caramel turns amber in color. Pour over shortbread layer and chill. 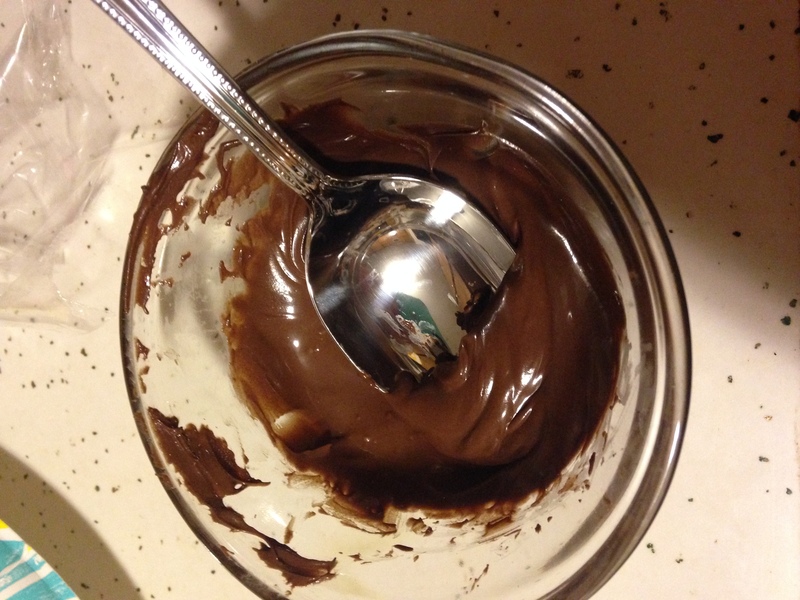 Combine butter, chocolate, and Karo syrup in a microwaveable bowl. 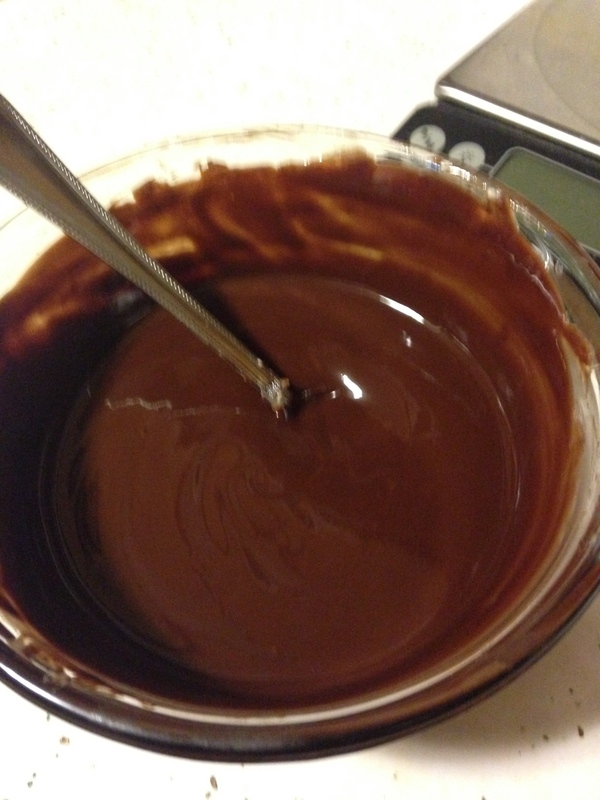 Microwave in 15 second intervals at 50% power, stirring after each interval, until smooth. 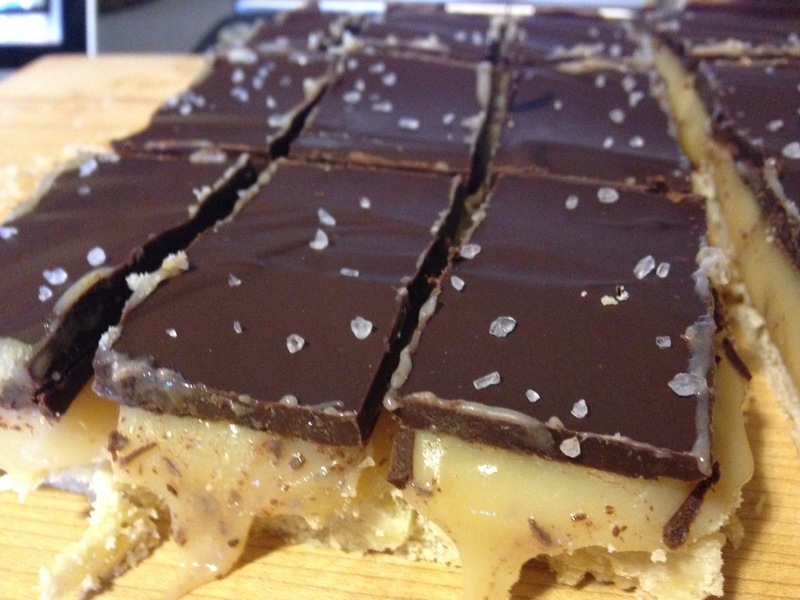 Pour over caramel layer and sprinkle with sea salt. Chill until ready to cut into bars. This weekend, a friend from college and I were going to go apple picking. Then we were going to make awesome apple-filled desserts. Then it rained. 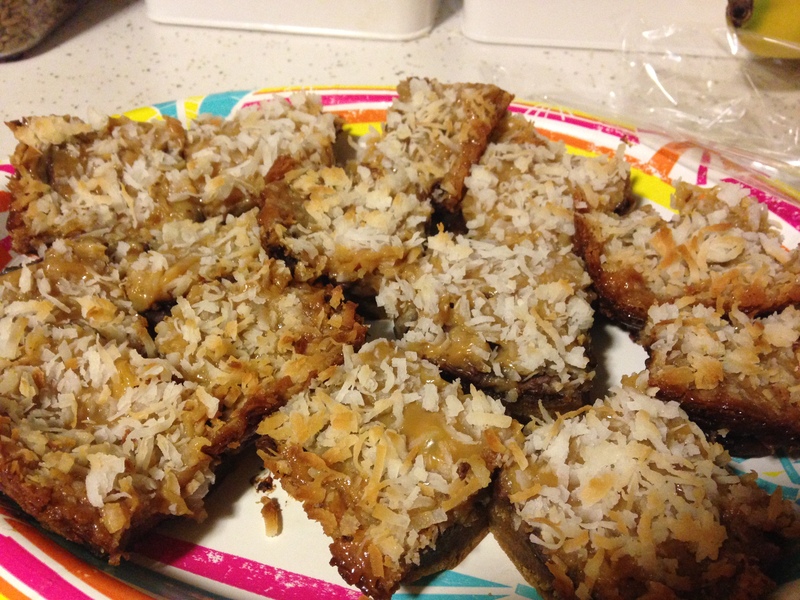 So, instead, we “picked” apples from A&P, as well as some other goodies, and decided to try a recipe she had found on Baker’s Royale for pumpkin magic bars. Now, I’m all about magic bars. I’ve posted them before here, and the addition of pumpkin was brilliant in my opinion. However, baking is always an adventure, and there are definitely some modifications I would make to this one if I were to try it again. But first, let’s go through what we actually did. Melt the butter and mix it with the graham cracker crumbs, pressing it into the bottom of a 9×13 pan lined with aluminum foil. Combine the sweetened condensed milk, pumpkin puree, cinnamon, nutmeg, and cloves in a small bowl. Pour over the crust. Peel and core the apples, and then use the large side of a grating box to shred them. Add them on top of the pumpkin layer. 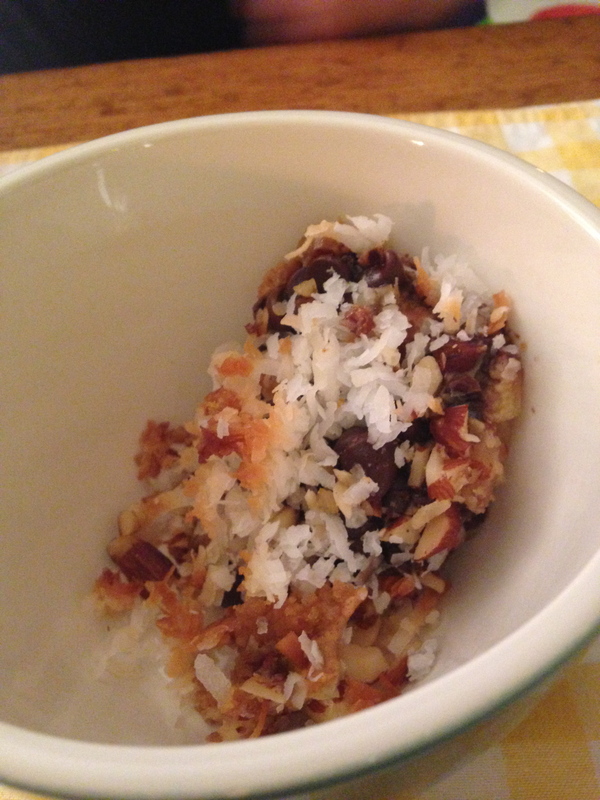 Sprinkle on the chocolate chips, the chopped almonds, and the coconut. Bake at 350°F for about 35 to 45 minutes. 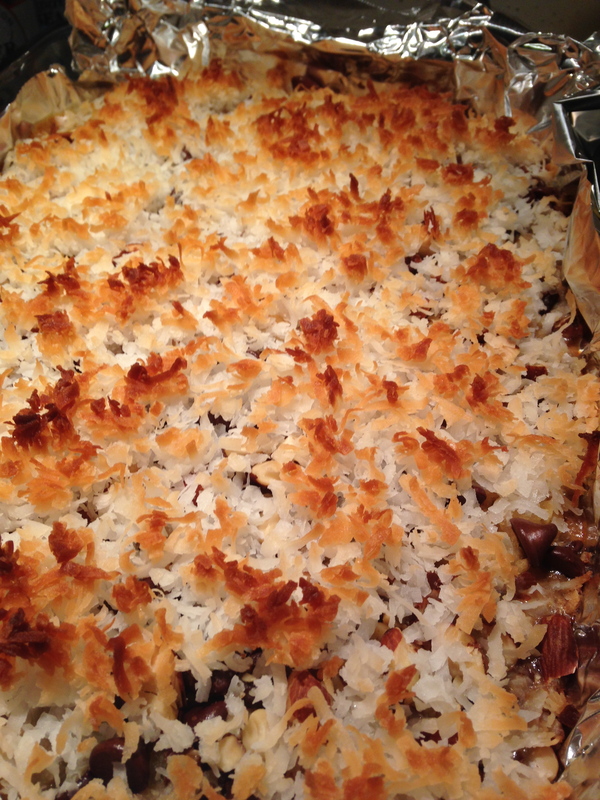 The coconut on the top should be browned. Allow to cool completely in the pan, then chill in the fridge before slicing. Now, full disclosure, we didn’t chill it before slicing it, which could have been the culprit in why we ended up with more of a magic bar crumble than anything that could actually be a bar. And, really, there is no problem with serving this particular dessert in a bowl with a spoon and just digging in. But, over dinner, we discussed some changes that could be made, probably to the benefit of the recipe. 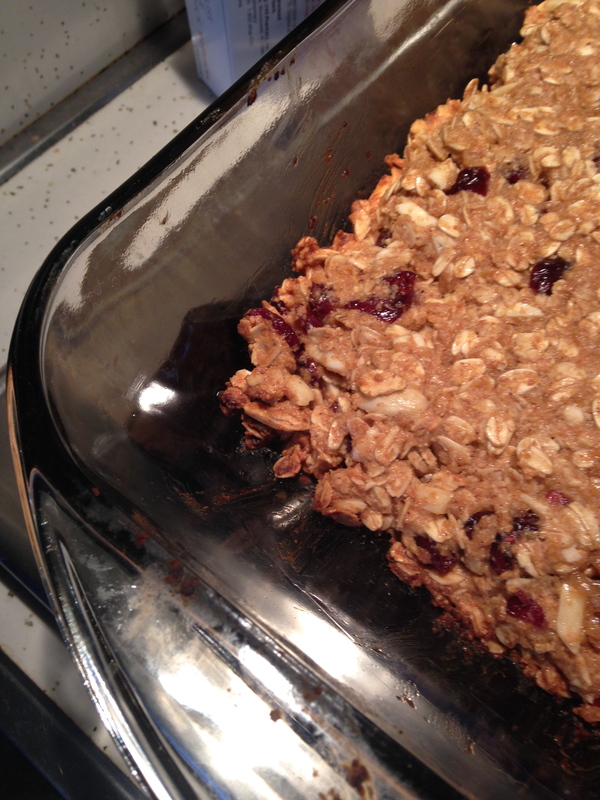 First, use an 8×8 pan. The bars were to thin. You would probably have to cook them on the longer side for this, but that’s fine. 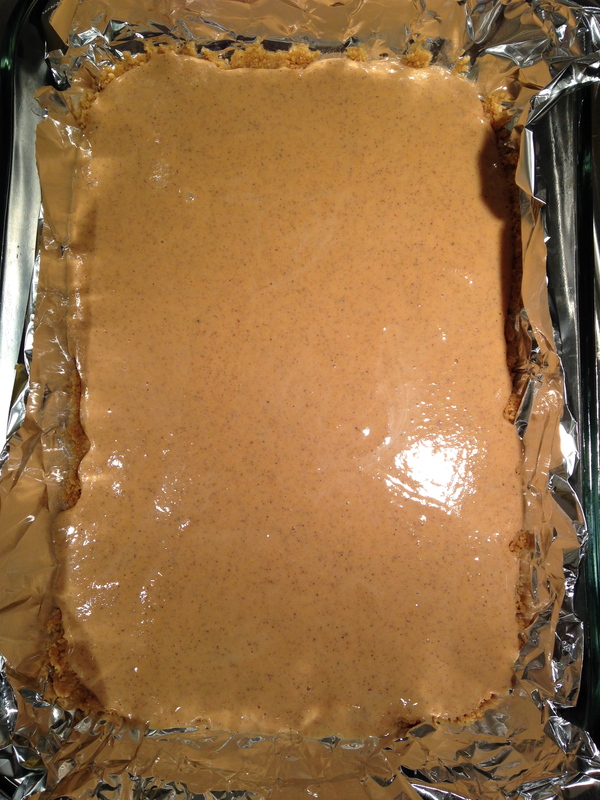 Second, drizzle the pumpkin/condensed milk mixture over the top of the bars rather than over the graham cracker layer. This would better seal in the coconut and toppings and probably help with the structure. Third, the apples really had no place in this. You could leave them out and have a better result. 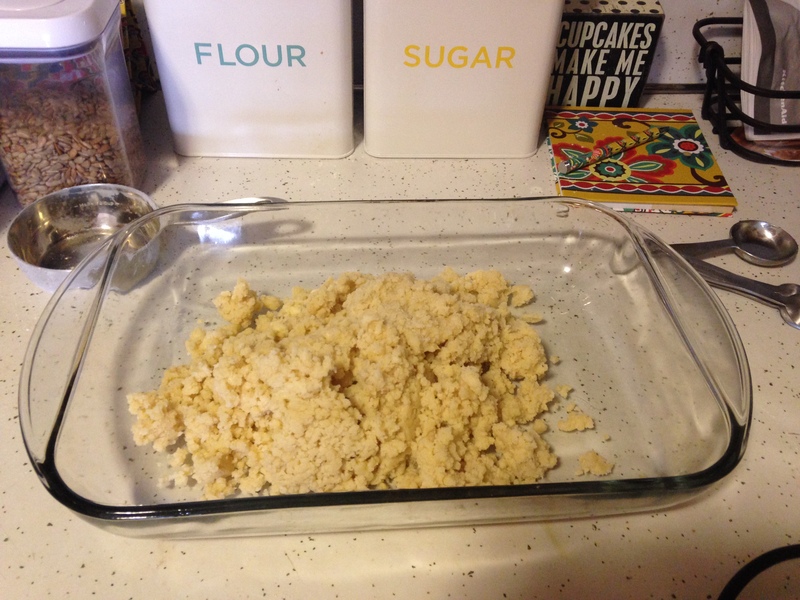 Now, I’ll post the recipe as I baked it, so you know what you’re getting (magic bar crumble, in case you forgot), but feel free to try the modifications and let me know in the comments how it went! 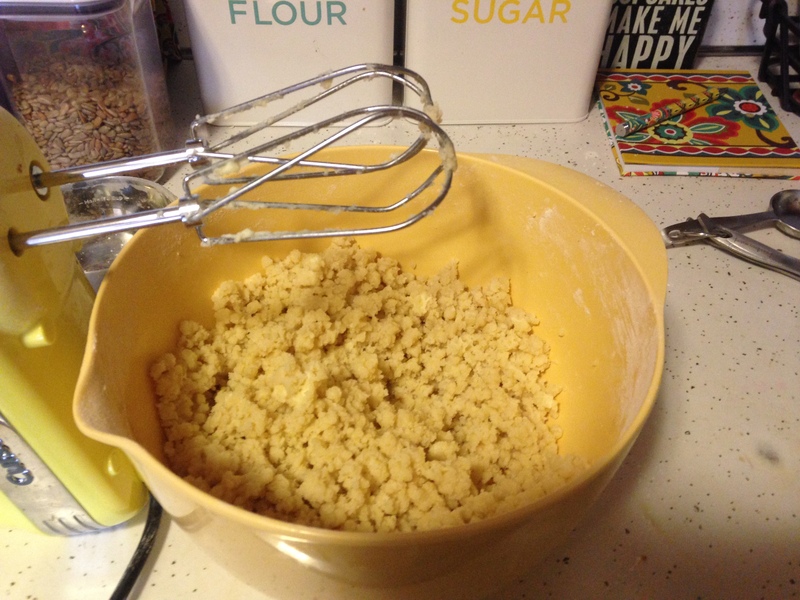 Melt the butter and combine it with the graham cracker crumbs. 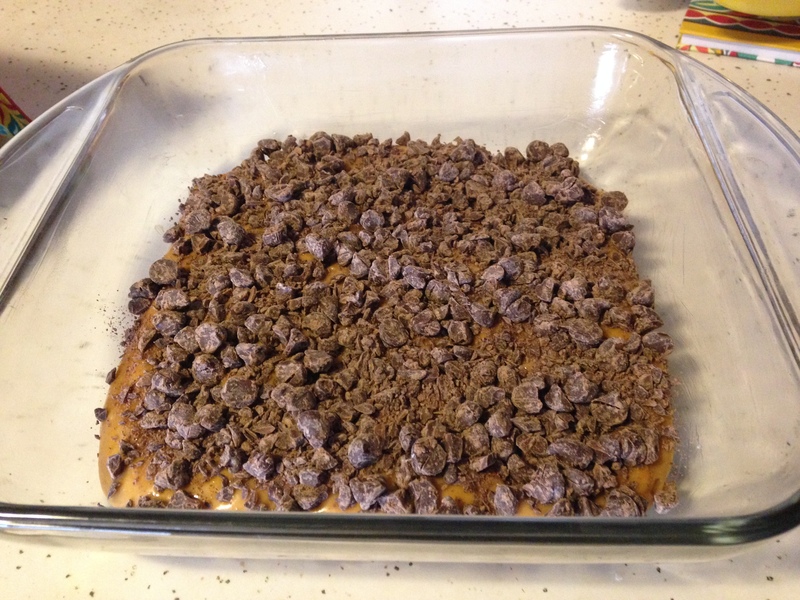 Press them into the bottom of a 9×13 inch pan lined with aluminum foil. 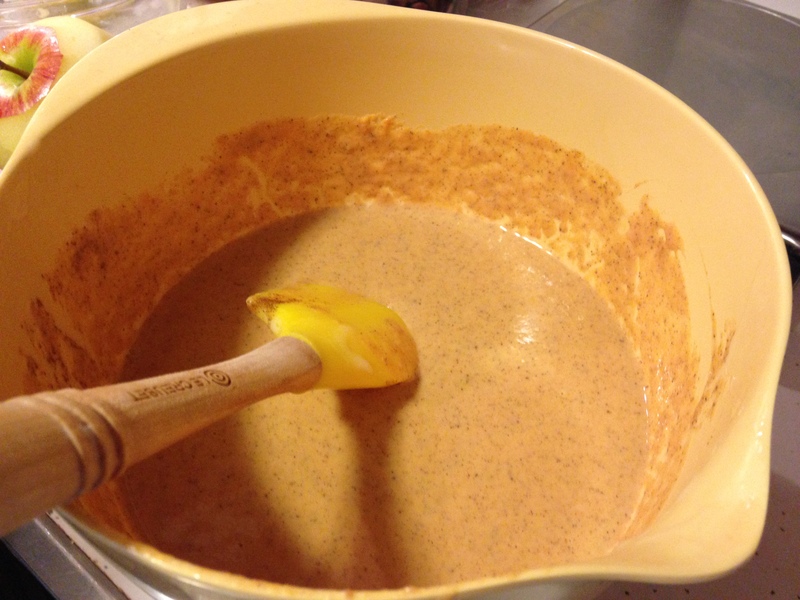 Combine the sweetened condensed milk, pumpkin puree, cinnamon, nutmeg, and cloves in a small bowl. 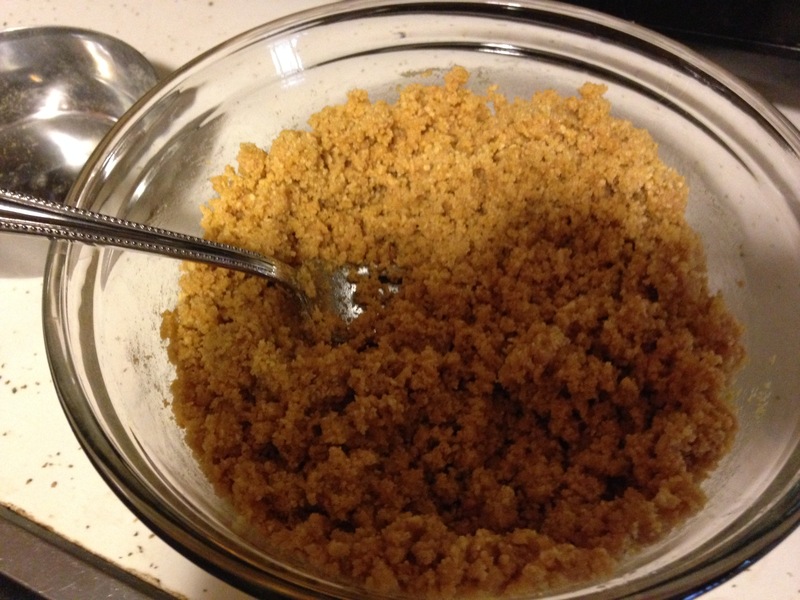 Pour over graham cracker crust. 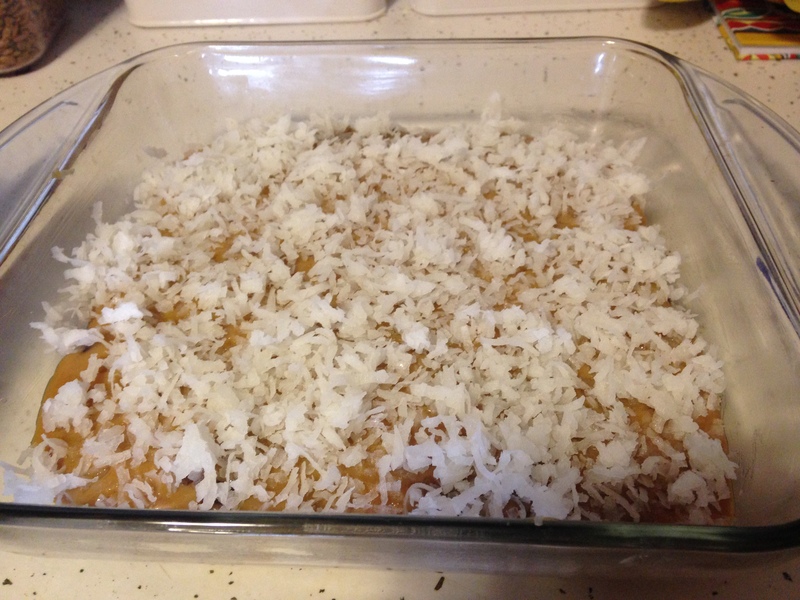 Sprinkle the shredded apples over the pumpkin layer. 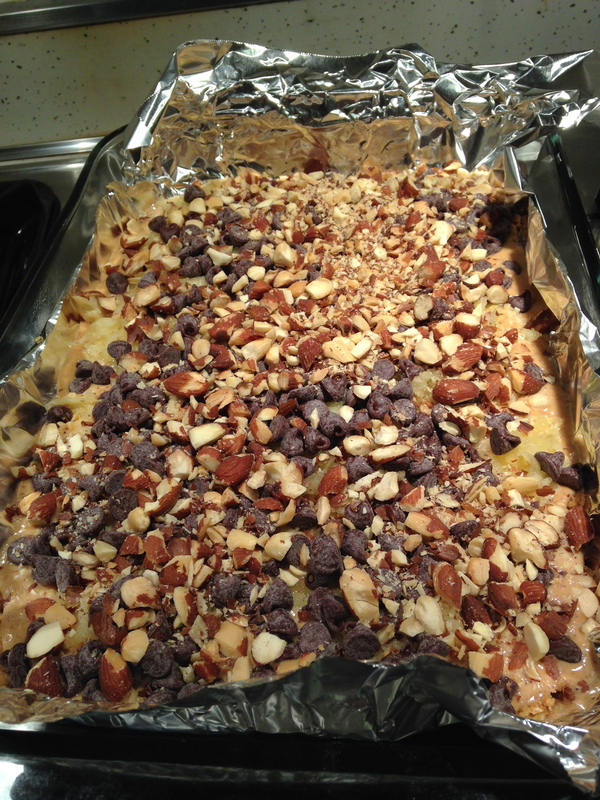 Sprinkle the chocolate chips, almonds, and coconut on top. Bake at 350°F for 35-45 minutes. 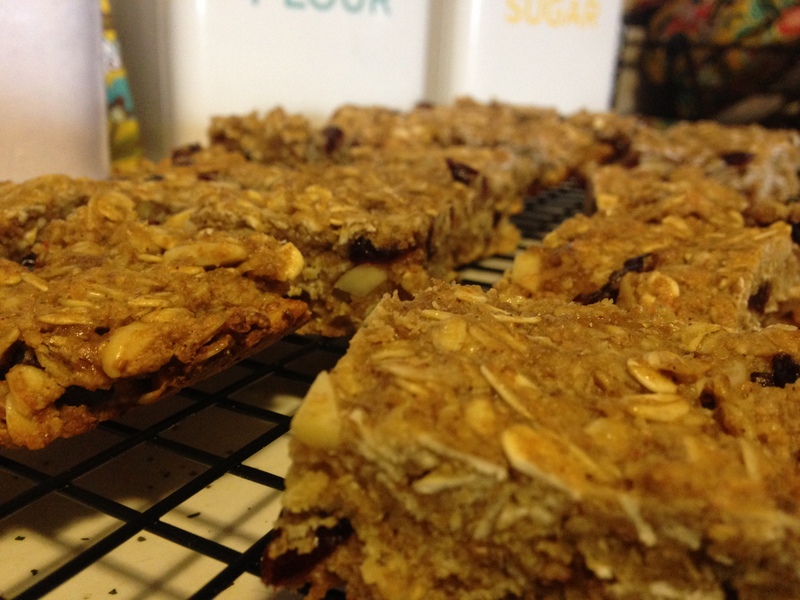 Allow to cool completely in pan, chill in fridge, and slice into bars. When sitting down to decide on a recipe, we had an assortment of cookbooks scattered across the table. Did we want to turn to Magnolia’s? What about the Boozy Baker? Maybe Claire’s Cornercopia had the answer? The only requirement was that it include fruit. We tossed around a bunch of ideas, but ended up settling on Strawberry Lemonade Bars from Pinterest, because bars are easy to make and travel with, and I wanted to send them far away from the condo so I wouldn’t eat them all, as was the fate of the Coconut Scotchie Ice Cream Sandwiches. Alas, I didn’t read the entire recipe in advance, so though my friends have left, the bars remain. Hopefully they were able to snack on enough of the crumb topping to have gotten a little enjoyment. So, though I don’t have the first hand experience with baking this one, here’s what I observed! First, make the crumb topping. 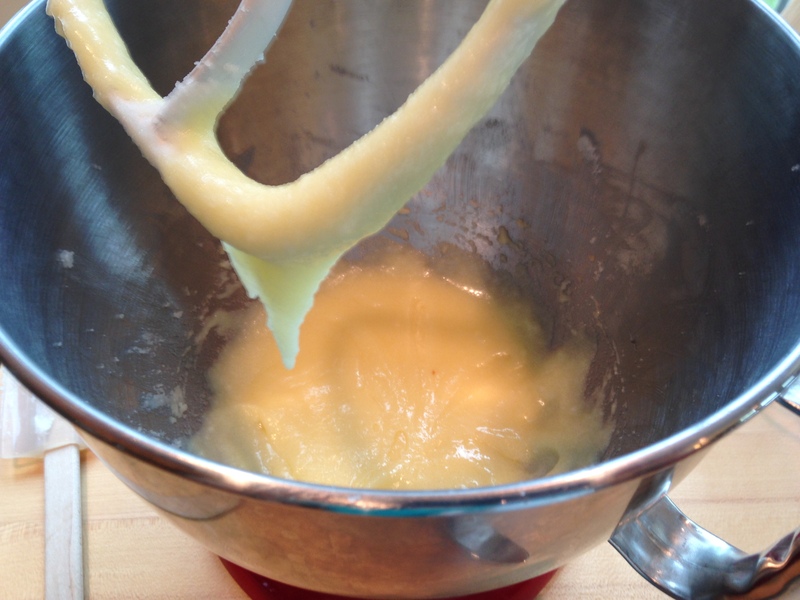 To do that, melt the butter in the microwave and add the two sugars, whisking to combine. In case you were unsure as to what whisking looked like, Sheila was sure to include plenty of action shots for you. Next, add the flour and stir to combine. It should resemble sand with large clumps. 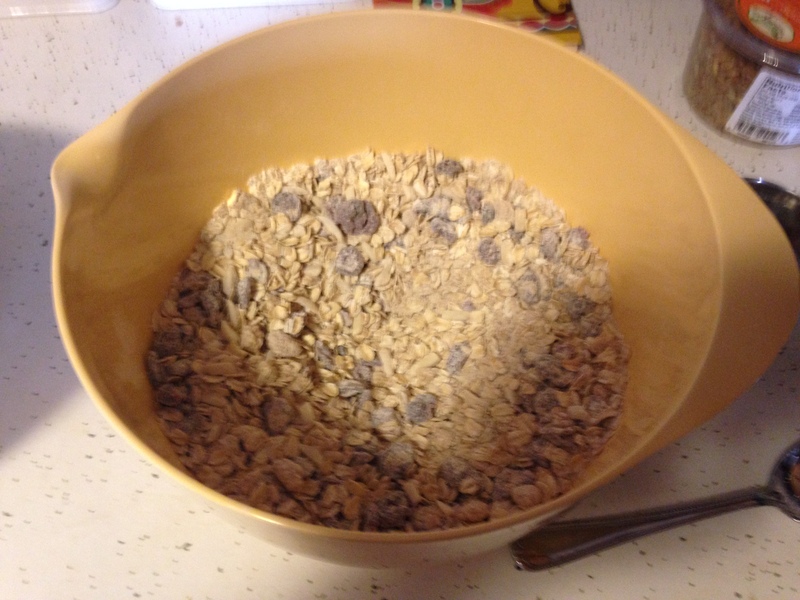 Reserve a heaping 3/4 cup of the crumb in a separate bowl. 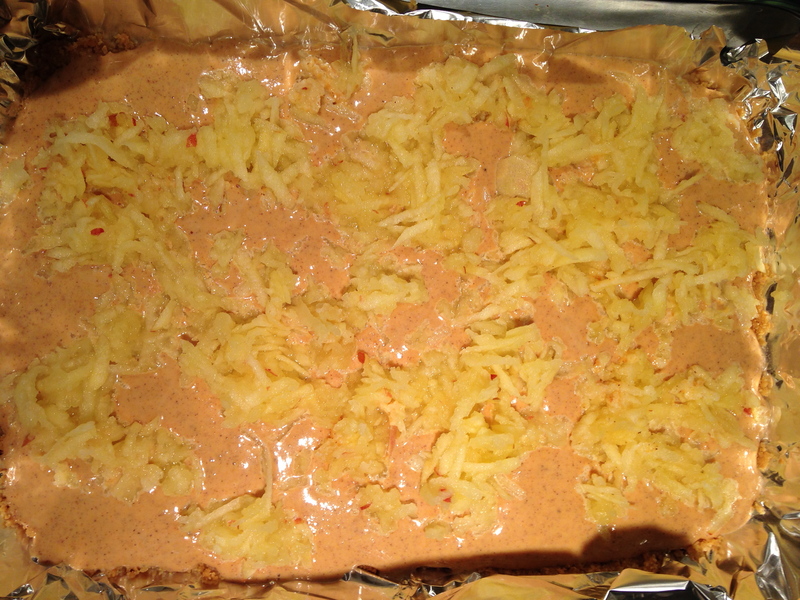 Press the remaining mixture into an 8×8 inch pan, lined with aluminum foil lined with cooking spray. This will be the crust. Next, it’s time to make the filling. 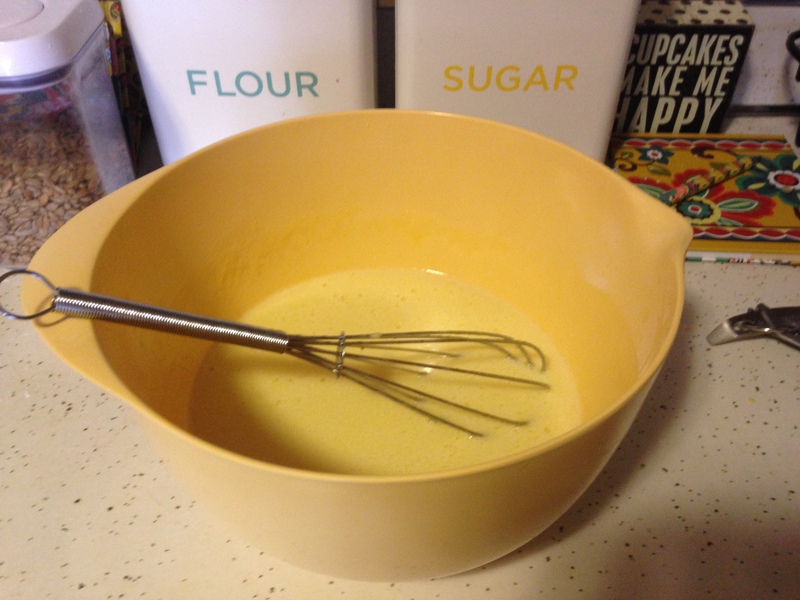 Put the egg, sour cream, sugar, lemon juice, and vanilla extract in a bowl and whisk to combine. 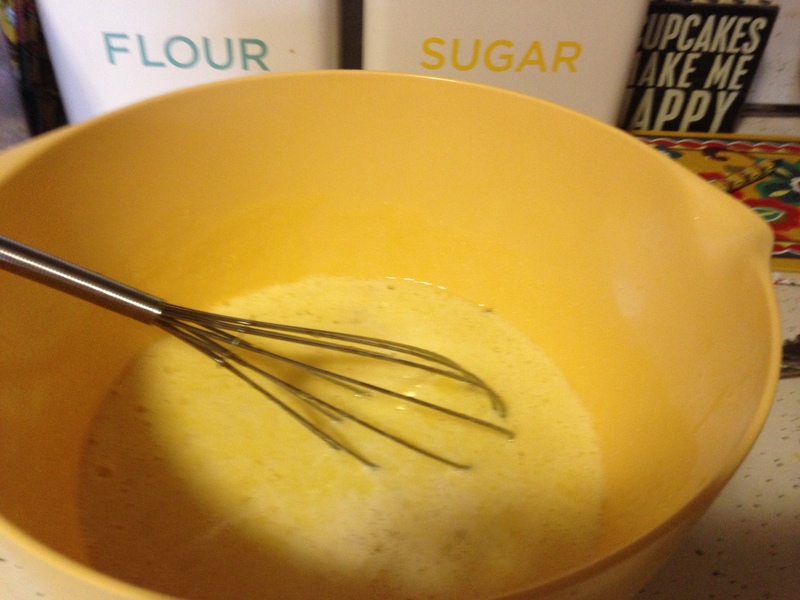 Add the flour and continue to whisk until smooth. Evenly pour the filling over the crust to create the second layer in the pan. More awesome action shots courtesy of Sheila ahead! Finally, the strawberry layer. This is where my own work was finally used. Dicing two heaping cups of strawberries is not an insignificant undertaking. 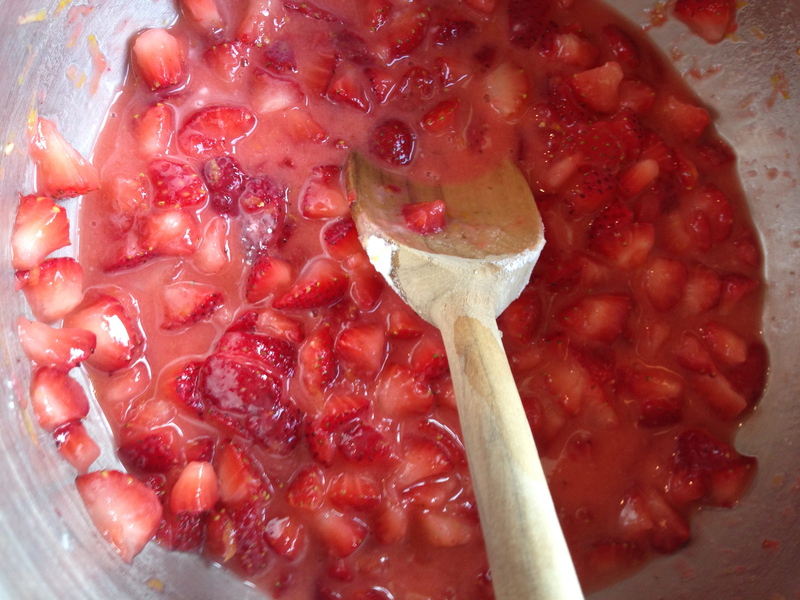 In a separate bowl, toss the strawberries, sugar, lemon juice, lemon zest, and cornstarch to combine. That’s a shot of Shirlee being Marj’s arms to do said tossing. There’s also a video, but, unfortunately, I couldn’t upload it. Anyways, add the flour to your own discretion in order to thicken. Depending on your strawberries, this could be as much as 2 1/2 tablespoons, or as little as none. 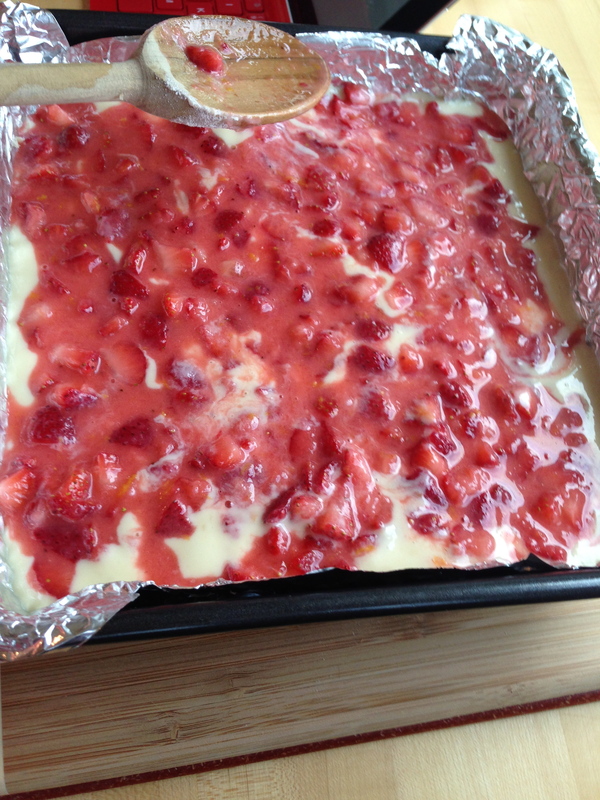 Spread the strawberry layer as evenly as possible on top of the filling. 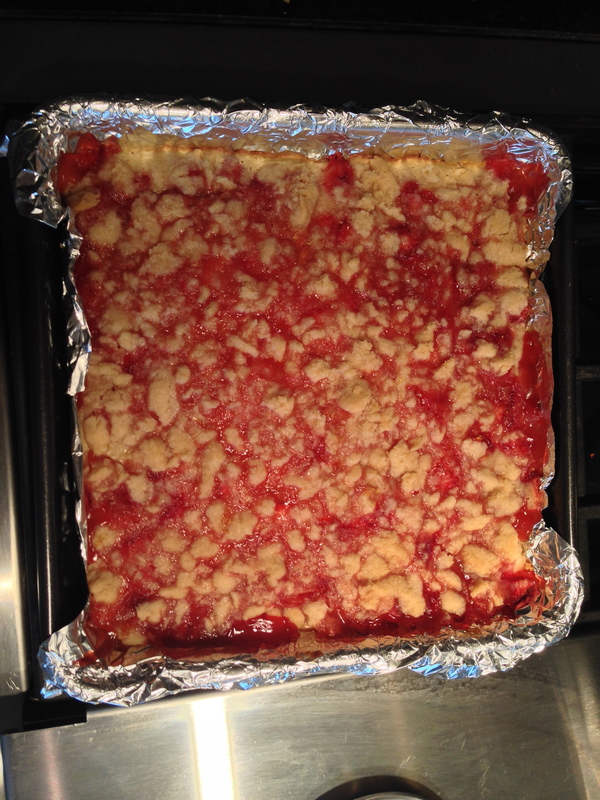 It’s not the end of the world if you mix things together – no one will complain about marbled strawberry bars. Sprinkle with the remaining topping. We added a little lemon zest to the crumb topping, which I think was a good idea from Marj. Bake at 350°F for around an hour, until edges are bubbling and the crumb topping is slightly golden. It’s worth it to check around 45 minutes since fresh vs. frozen berries have different results here. Cool for at least two hours before slicing and serving. 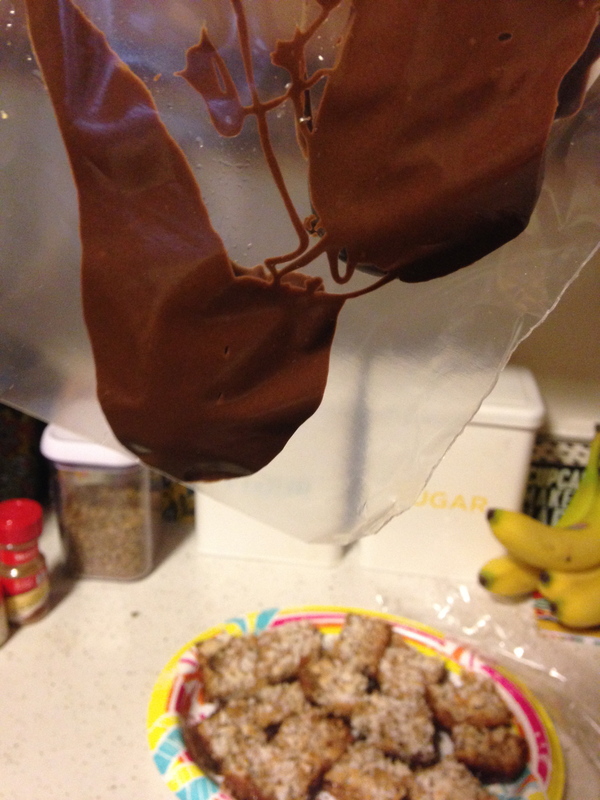 Mine are currently sitting in the fridge chilling further, since the recipe recommended serving them chilled. You can store them at room temperature for a week or in the fridge for 10 days. Huge shout out to Shirlee, Sheila, and Marj for doing all the baking/photography for the week! Wish I could send you guys a bar! 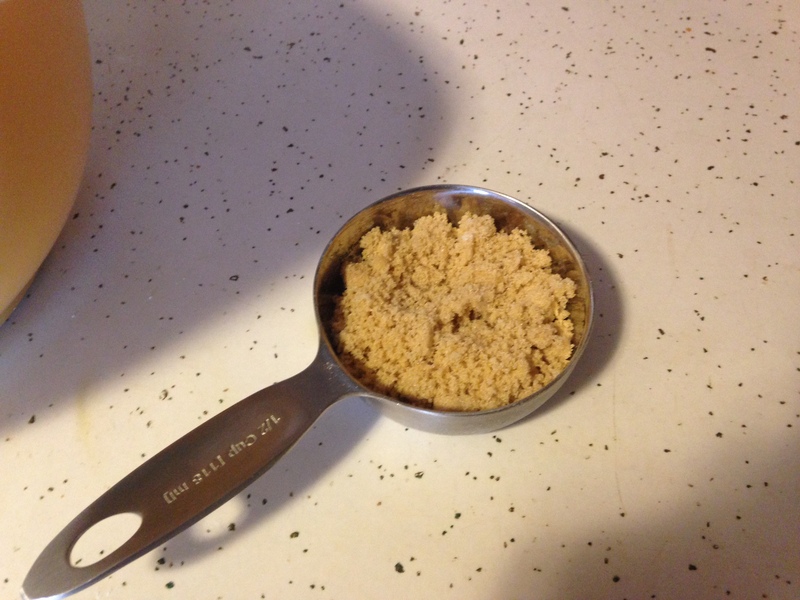 Crumble and Crust: Whisk together melted butter, sugar, and brown sugar until combined. Add flour and stir to combine. 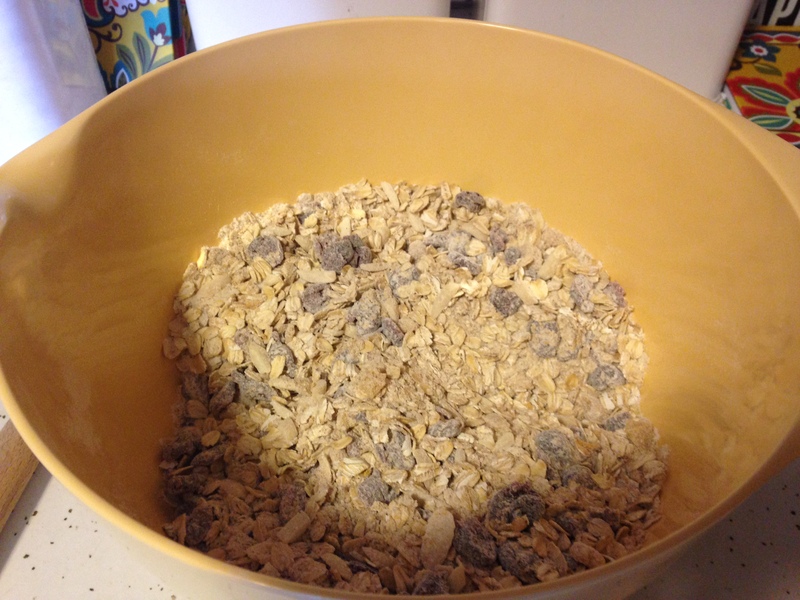 Reserve a heaping 3/4 cup of crumble and press remaining crumble into the bottom of a 8×8 inch pan lined with aluminum foil sprayed with cooking spray. 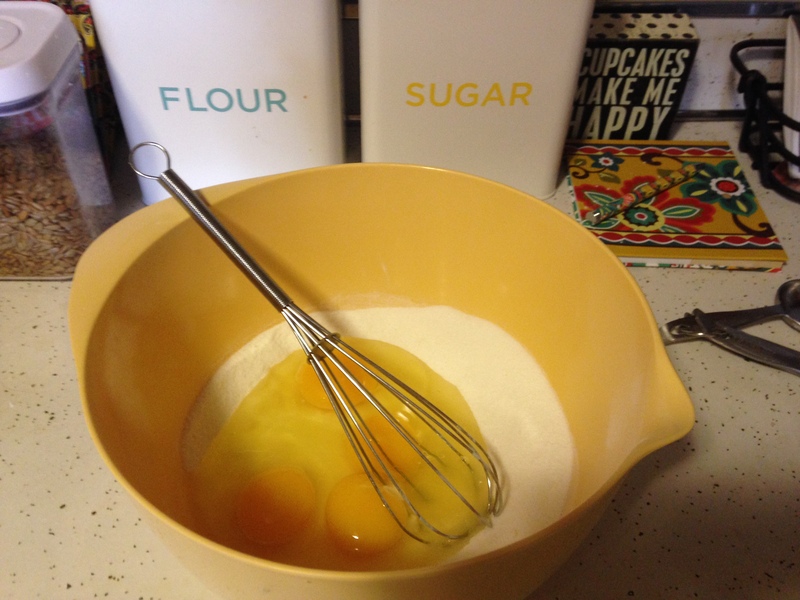 Filling: In a bowl, whisk together egg, sour cream, sugar, lemon juice, and vanilla extract until smooth. Add flour and whisk until combined. Pour filling layer over crust evenly. Strawberry Layer: Toss strawberries, sugar, lemon juice, lemon zest, and cornstarch in a large bowl. 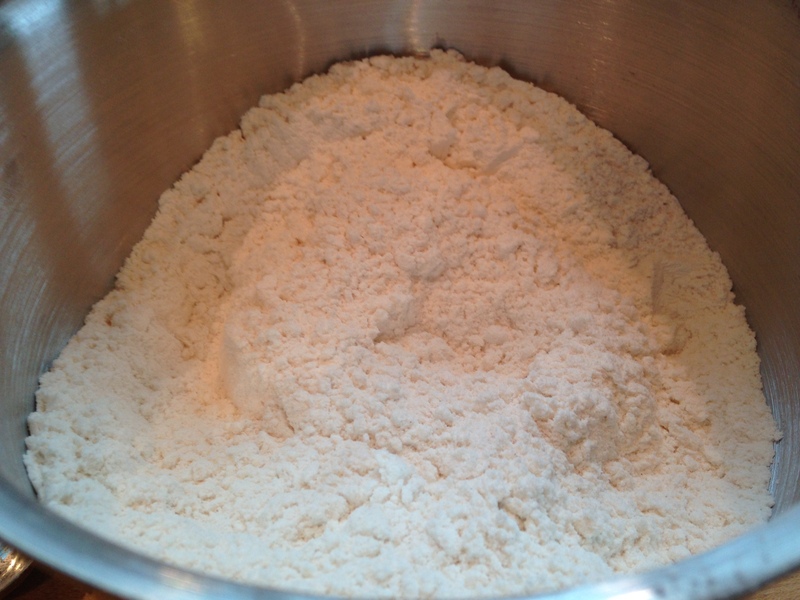 If too runny, add flour to thicken to desired consistency before pouring evenly over the filling layer. Sprinkle with reserved crumble. 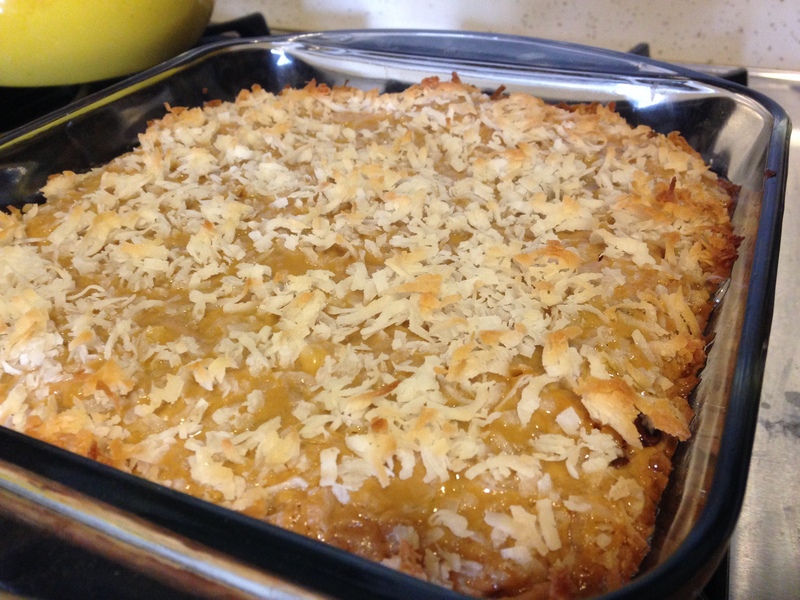 Bake at 350°F for 60 minutes, or until sides are bubbling and the crumb topping is slightly golden. Allow to cool at least two hours before slicing and serving. As I write this post, I am sitting on the patio of our condo, surrounded by beautiful views of Plymouth Bay. I’m watching a sailboat as it comes out from behind the jetty. I don’t think my parents are going to be able to get rid of me at the end of this summer. 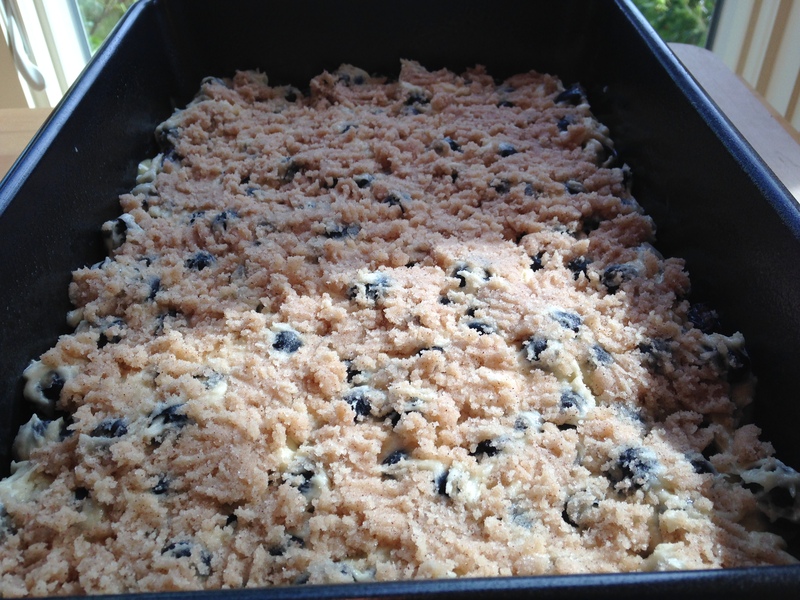 Anyways, as a kick-off to the summer baking season, this week I have a good old family recipe to share with you: Blueberry Buckle. 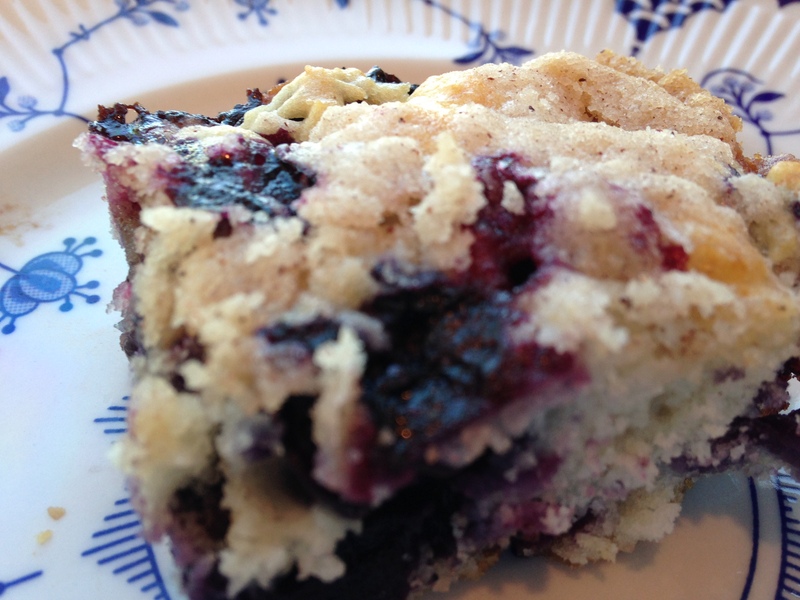 Every year, my mom makes a blueberry buckle for the fourth of July. And the buckle is actually the star of my favorite fourth of July story. You see, my mom always wait until the morning of to bake the buckle, since it really is best warm and fresh. One year, however, she was a little more rushed than usual. With the help of my dad’s aunt, she was making the buckle fairly close to the start of our annual party. They’ve got it in the pan, ready to go in the oven, and just can’t seem to figure out what was wrong with it. It looked a little strange… because they forgot the blueberries. So I walk into the kitchen, and my mom and Mary are pushing blueberries into the top of the batter attempting to remedy the situation. To this day, I can’t help but remind her not to forget the blueberries whenever she makes it. This year was a little strange for a variety of reasons, though. For one, we no longer live in that house where we had the annual party. So there was no real big event for us to be planning that day. For another, Hurricane Arthur decided he was going to ruin America’s birthday by showing up and canceling all of the parades, parties, and fireworks in the general vicinity. Finally, this year my mom let me make the buckle, with her supervision, of course. 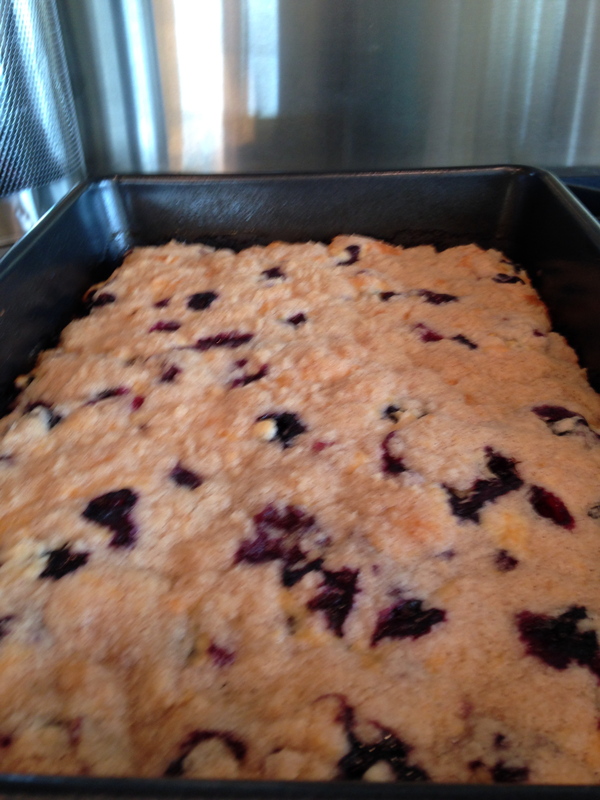 So here is my first attempt at blueberry buckle! 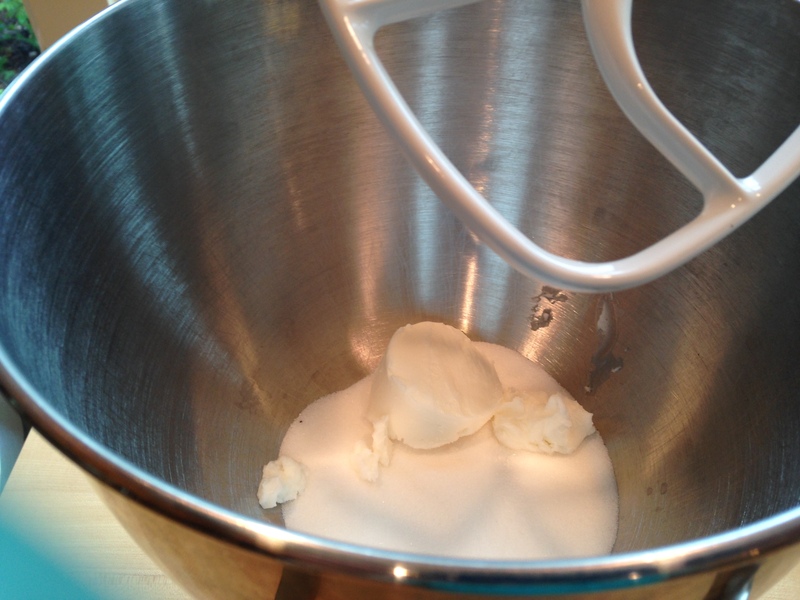 First, cream together the sugar and shortening either with a hand mixer or the paddle attachment of a stand mixer. I only have a stand mixer for use at the condo, which is fine by me. Next, add the egg and beat until well-combined. Then, and I did some creative interpreting of the recipe here, since my mom’s recipes tend to include minimal directions, add the milk and beat that until combined. In a separate bowl, combine the flour and baking powder with a whisk. 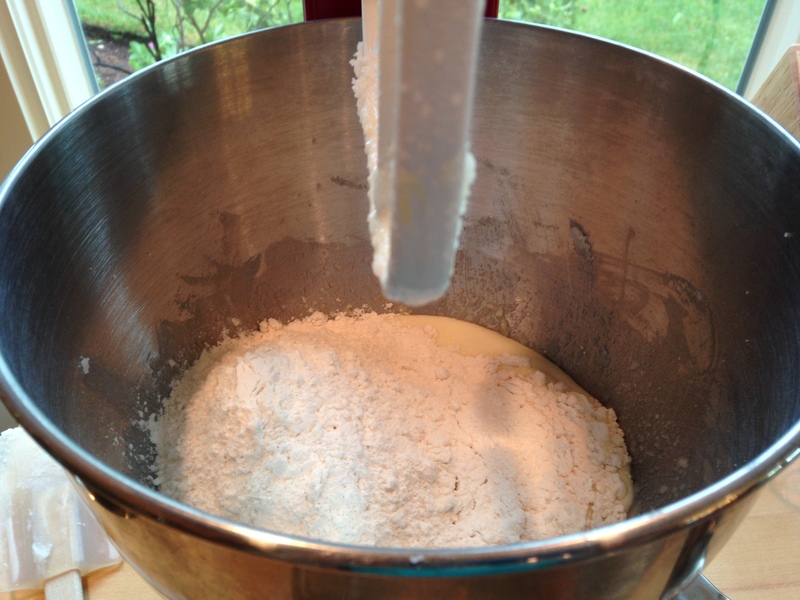 Add the flour mixture to the batter and mix on low speed until just combined. Leaving some flour streaks is actually not a bad thing here as long as you scrape them down into the bowl after. 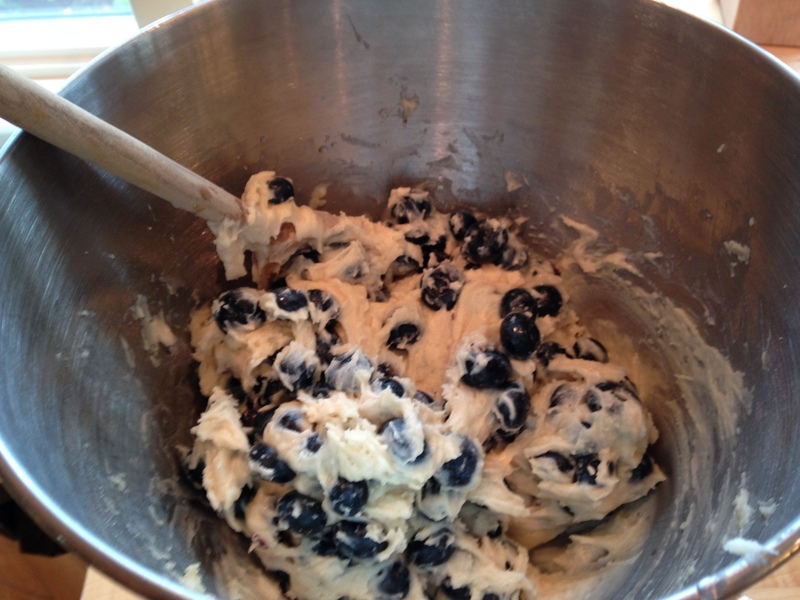 Add the blueberries and fold in using a wooden spoon. I know what you’re thinking: Meg, that looks like WAY more than two cups! It might be. We just used a big thing of blueberries. Not a bad thing. 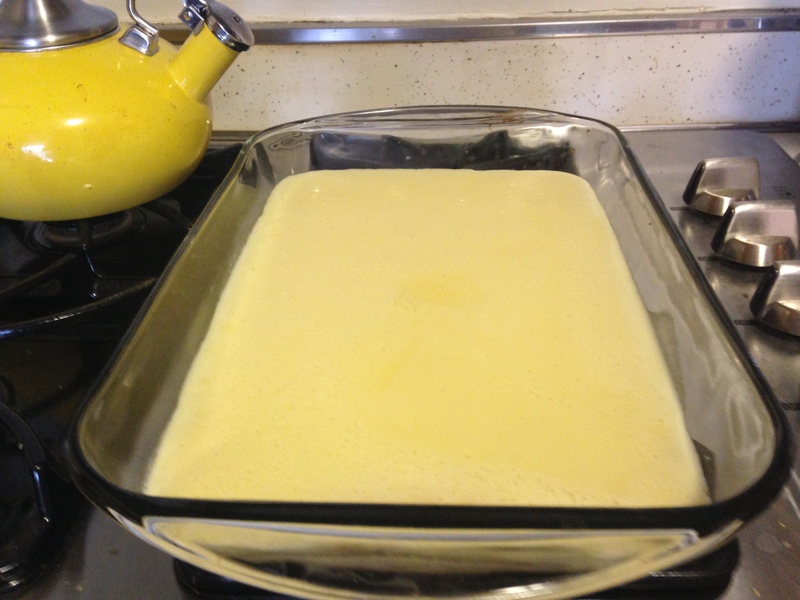 Spread the batter into a greased 9×13 inch pan. I used Pam baking spray, but you could also just use butter or crisco and flour. 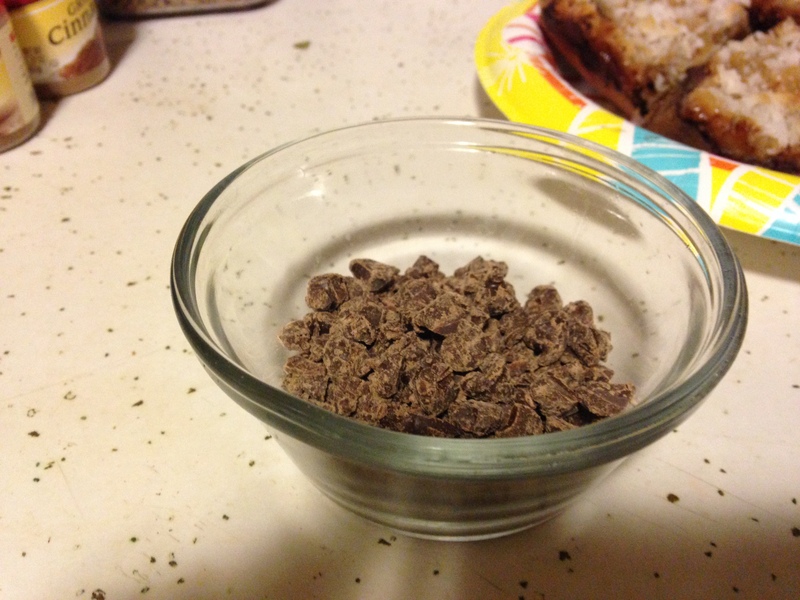 In a separate bowl, make the topping. 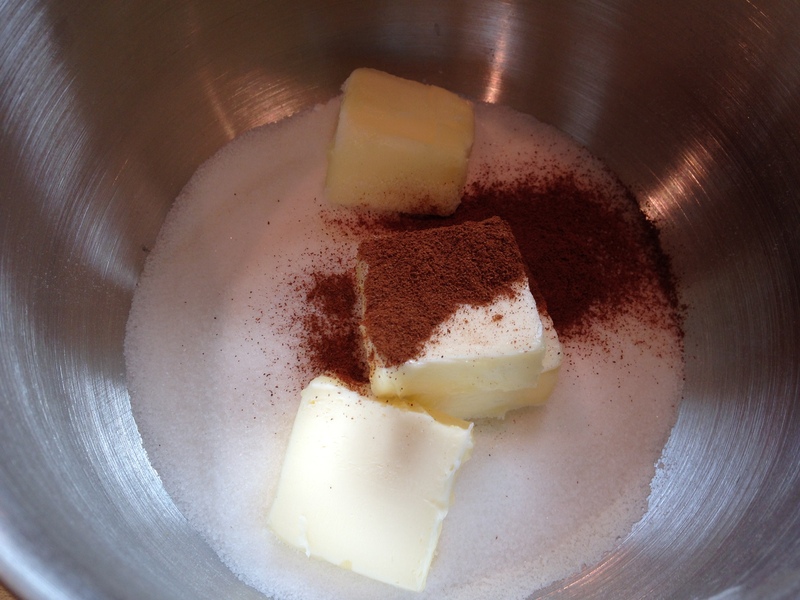 Put the flour, sugar, softened butter and cinnamon in a bowl and mash it together with a fork. Sprinkle and spread the topping as evenly as possible over the top. Chunks of topping aren’t the end of the world, but some of your consumers may get jealous of others if you aren’t judicious. So bake the buckle at 375°F for about 30-40 minutes, or until lightly browned and a toothpick comes out clean. If you happen to be doing other things at the same time, you won’t be able to ignore the smell of it, so when it smells done, it may very well be. 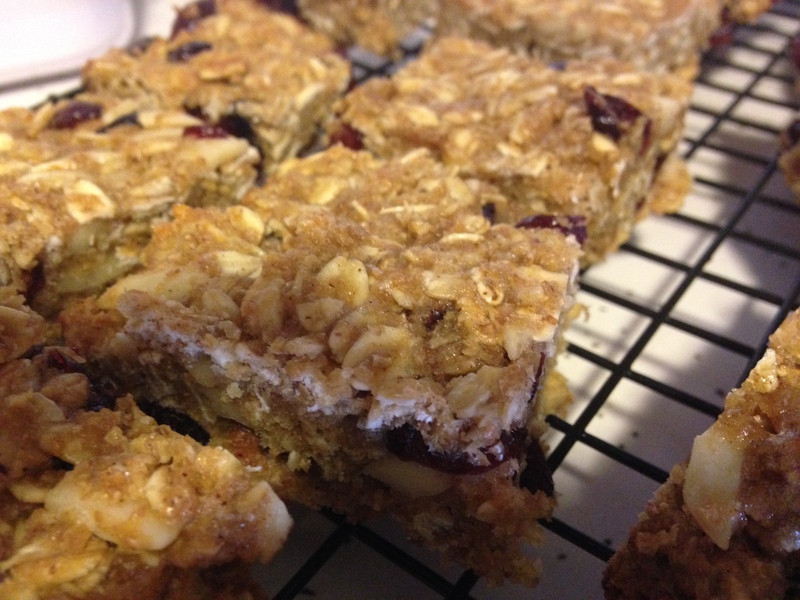 Serve it right out of the pan, warm for breakfast or cut into bars for dessert. Stick in some American flag toothpicks to make it festive. 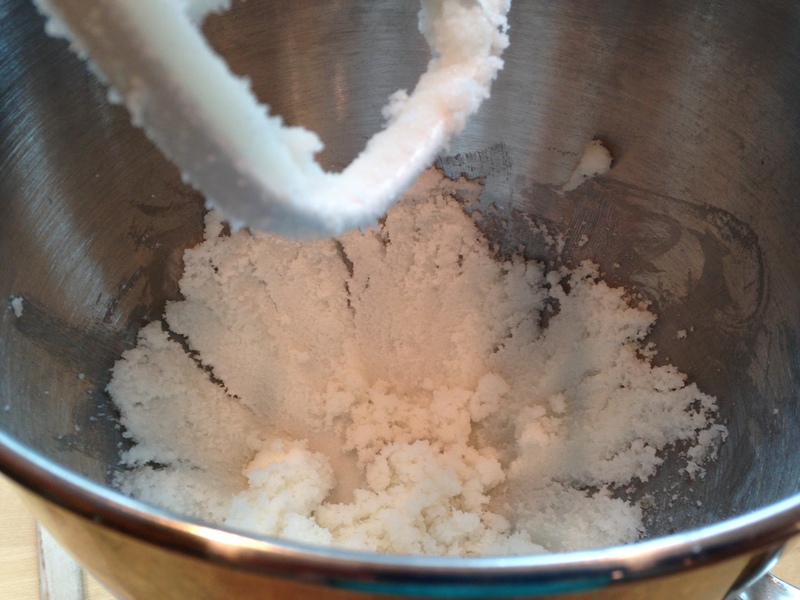 Cream sugar and shortening until smooth, light and fluffy using a hand mixer or paddle attachment of a stand mixer. Add milk and beat well. 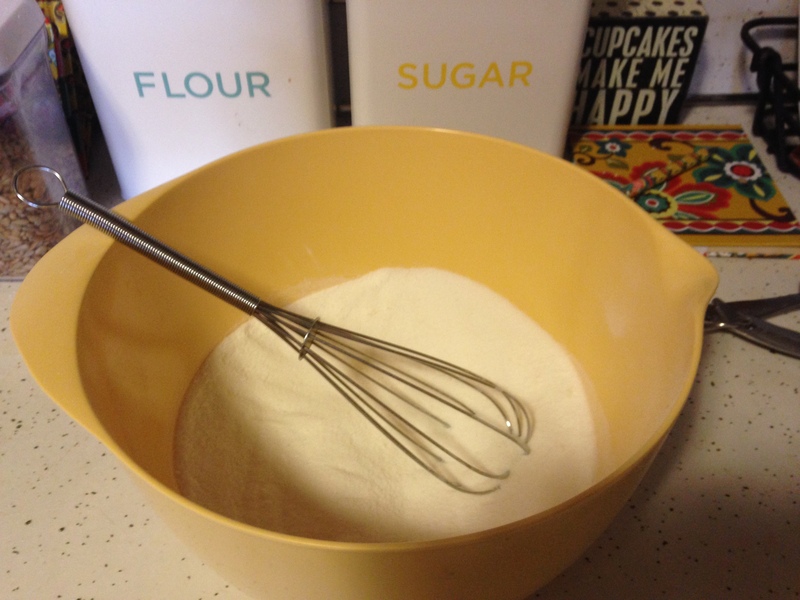 Whisk together flour and baking powder in a separate bowl. Add to wet ingredients and beat until just combined. 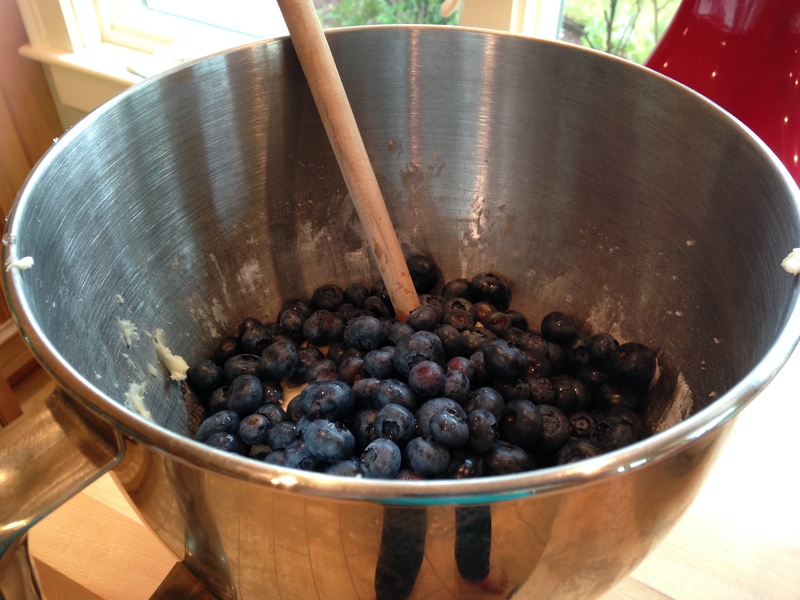 Stir in blueberries with wooden spoon. 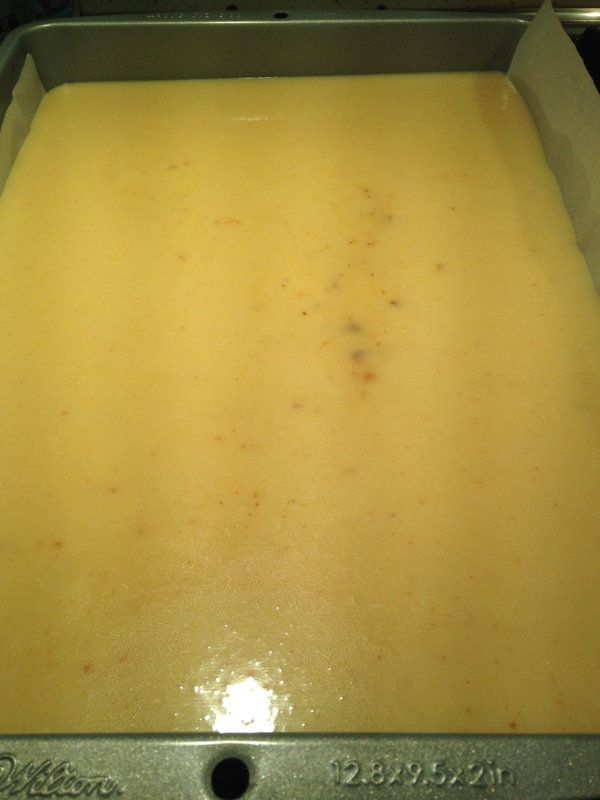 Spread batter in greased 9×13 inch baking dish. 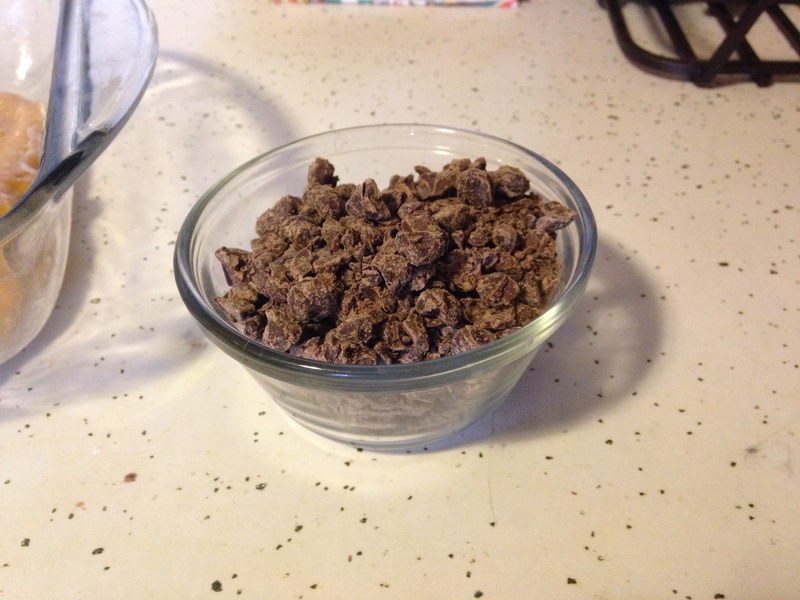 Combine ingredients for topping with a fork in a separate bowl. Spread evenly over batter. Bake at 375°F for 30-40 minutes or until a toothpick comes out clean. 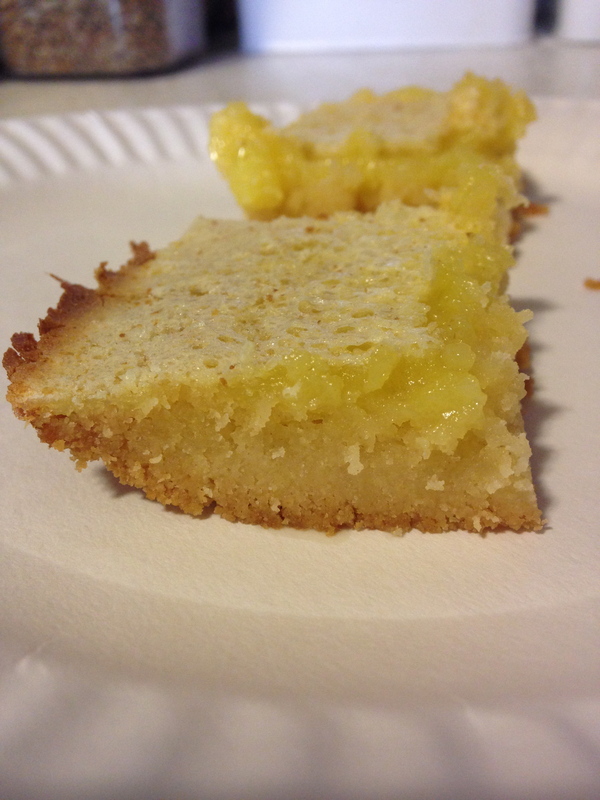 Continuing on my theme of doing something extra for Lent, this week I baked lemon squares at the request of an art teacher at school. I bring things into the staff room pretty regularly, but usually it’s just leftovers of things I make for others. 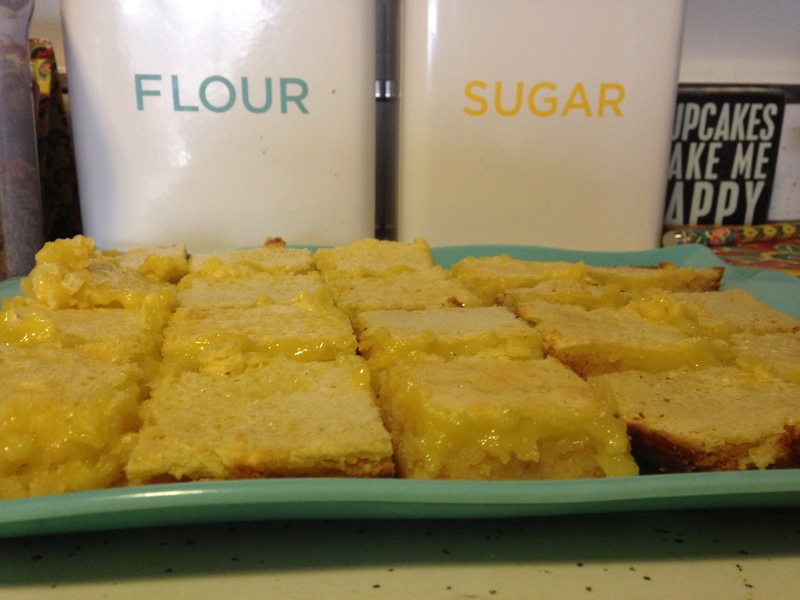 This time, the lemon squares are specifically for my fellow teachers. And it’s finally spring, so yellow, citrusy treats finally feel appropriate. 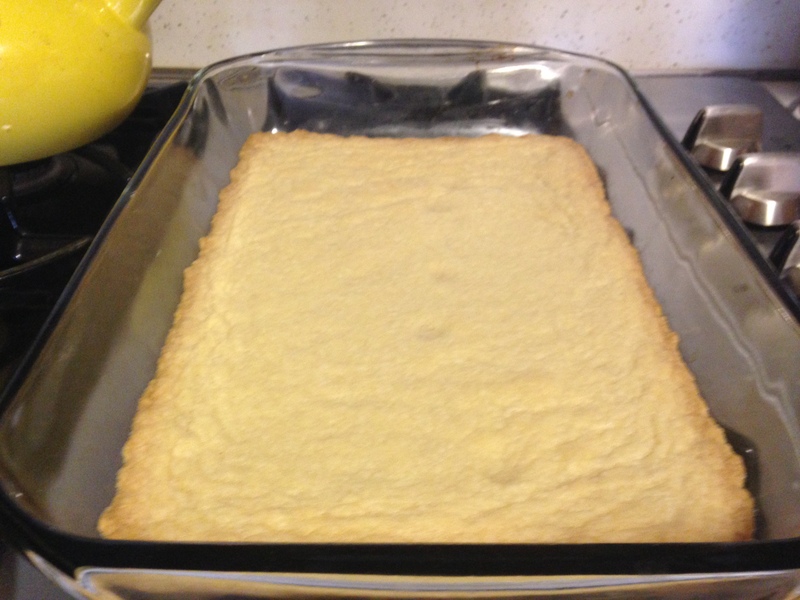 I have never actually made lemon squares from scratch. I think I didn’t realize there was a way to do it without a box mix. And as I started looking through recipes, I wasn’t totally sure how to pick one. I settled on the one that called for the juice of two lemons without being any more specific than that. 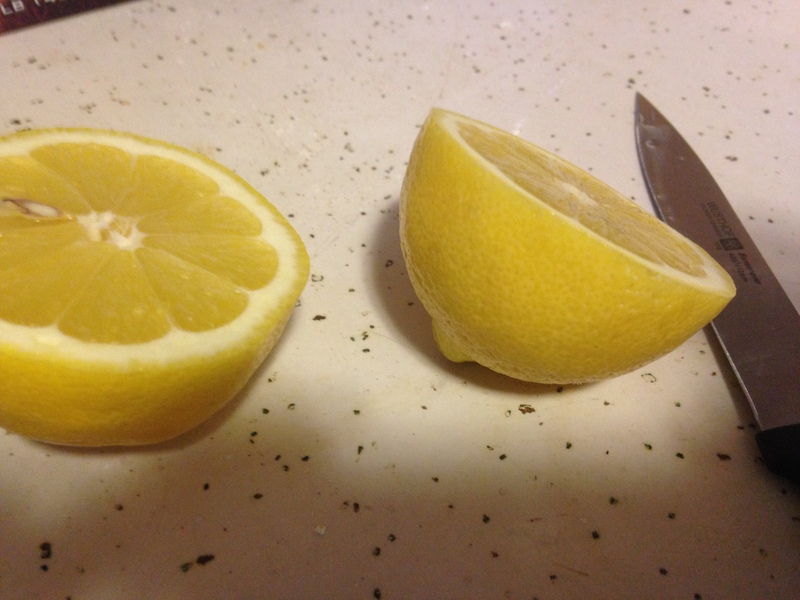 I have no idea how much juice you can get out of a lemon, so I didn’t want to mess with the ones that called for exact amounts. 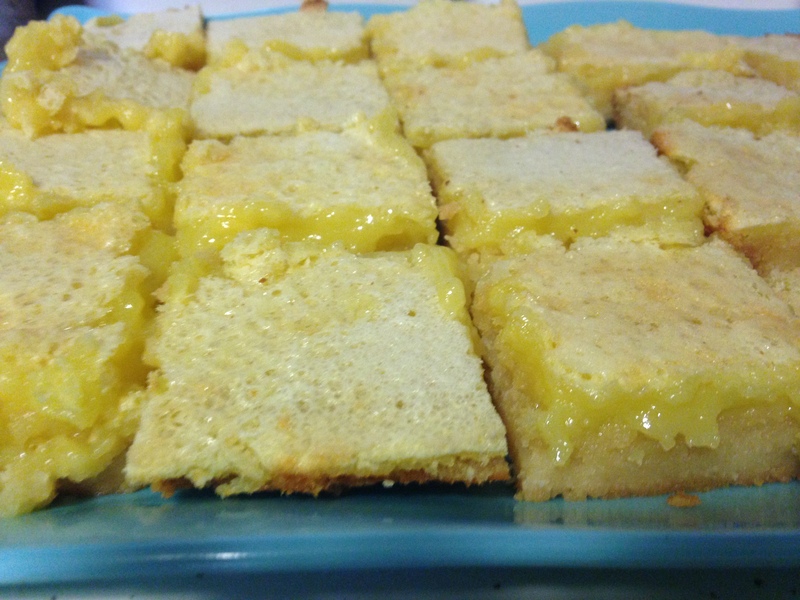 Also, this recipe claims to be “The Best Lemon Bars Recipe”, so it had to be good. 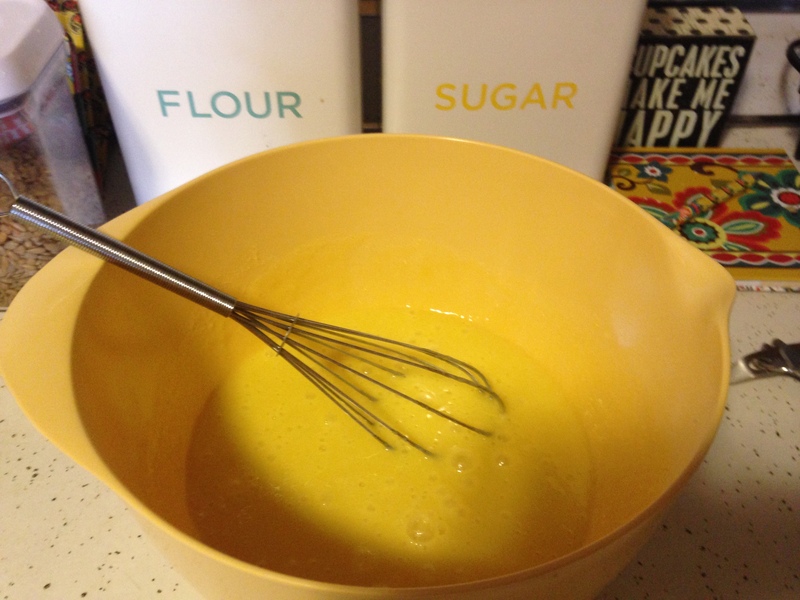 First, mix together 2 cups of flour, butter, and 1/2 cup of sugar. I hadn’t used my hand mixer in awhile, but was in a bit of a rush so I pulled it out. That resulted in quite a bit of flour on my counter top since in its absence I had forgotten that it only has two speeds: fast and faster. 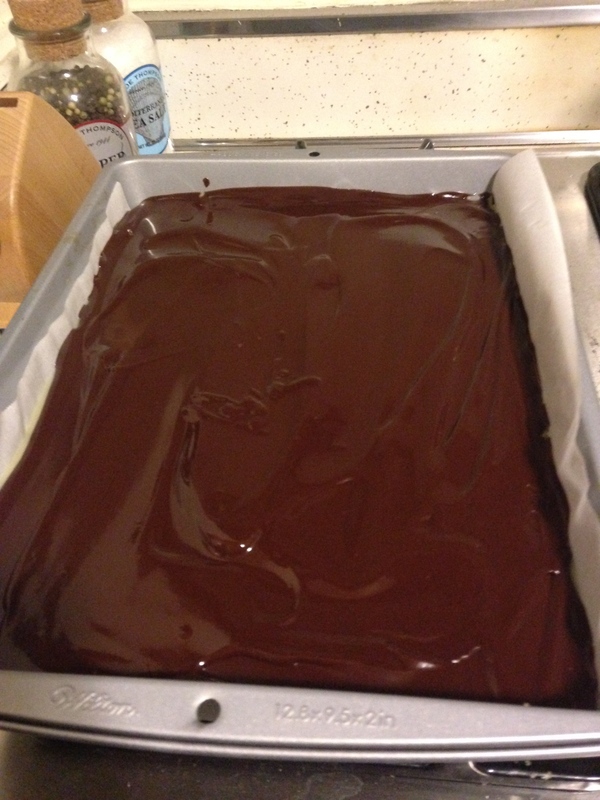 Then, press the mixture into the bottom of a 9×13 pan as evenly as you can. One benefit to using 2 full sticks of butter is that there is absolutely no need to grease the pan. Bake the crust at 350°F for 20-30 minutes, or until the edges of the base are golden brown. 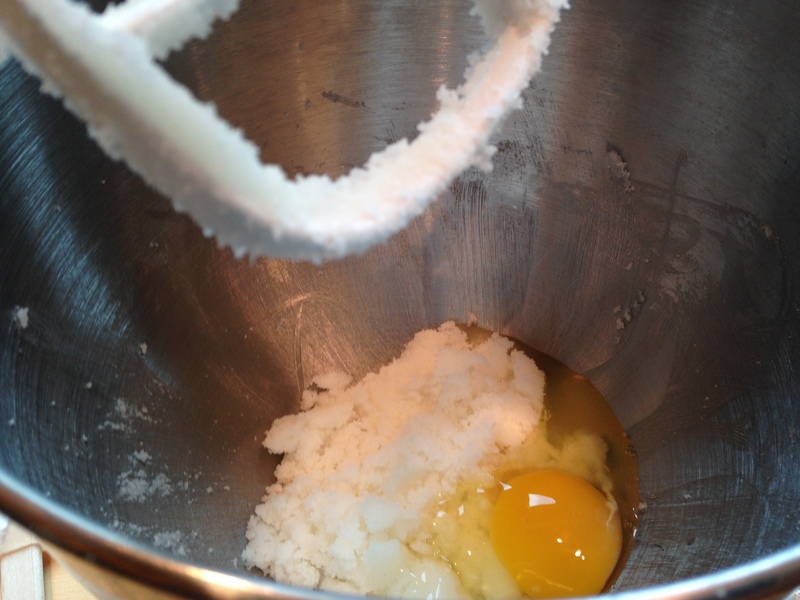 In a separate bowl, whisk together the remaining 1 1/2 cups sugar and 1/4 cup flour. 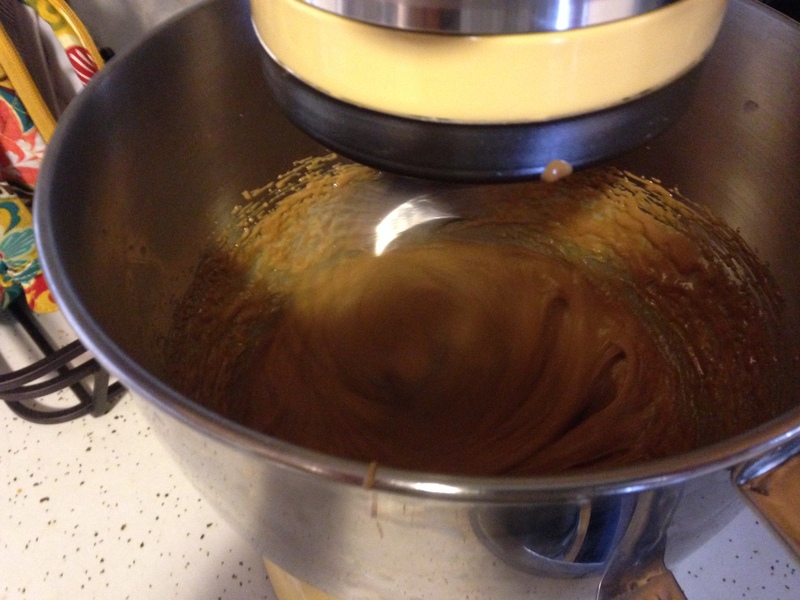 This time I decided to go the hand whisking route since I didn’t want any more splatter. 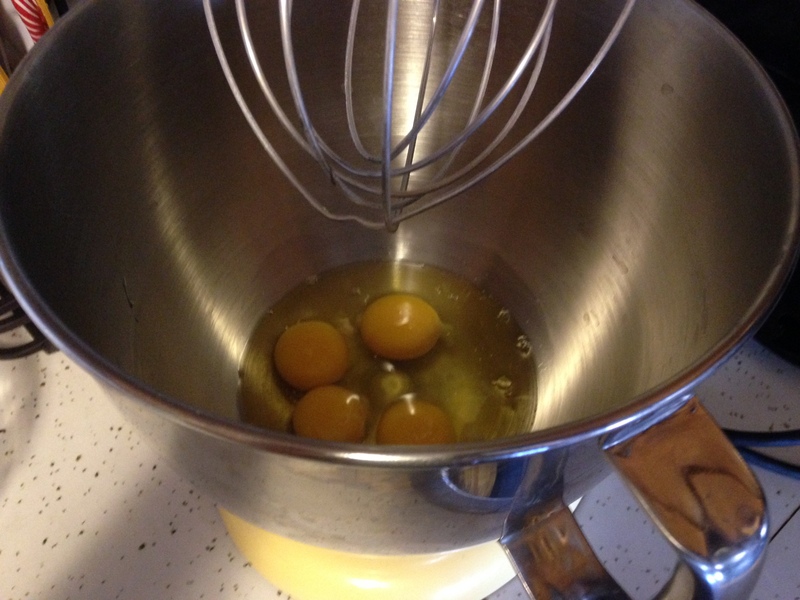 Whisk in the eggs until well combined. I think it’s really the eggs that give lemon bars the great yellow color. Finally, whisk in the juice of two lemons. I don’t have a juicer, but I am admittedly pretty good at getting the maximum amount of juice out of a lemon just by squeezing with my bare hands. If you go this route, don’t forget to pick out any seeds that may have found their way into the batter. 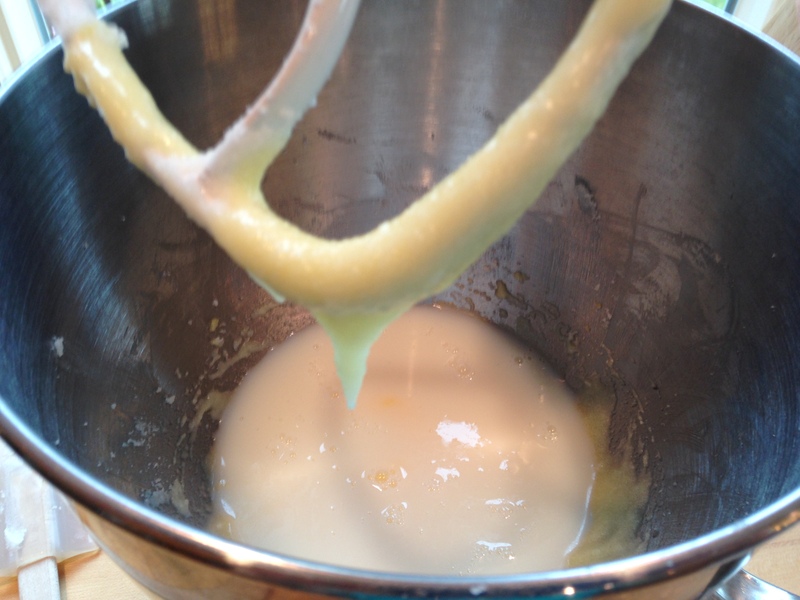 When the base is done, remove it from the oven and pour the lemon mixture over the top. Return it to the oven and bake for an additional 20 minutes. You aren’t really looking for anything in particular here – the bars will solidify as they cool. Finally, cut the bars into squares once cool. I haven’t tasted them (obviously) but my doorman hasn’t come running up to complain since I gave him one, so they must be edible. If you want to dust on some confectioner’s sugar on top, definitely wait until they are completely cool. More sugar is never a bad idea. 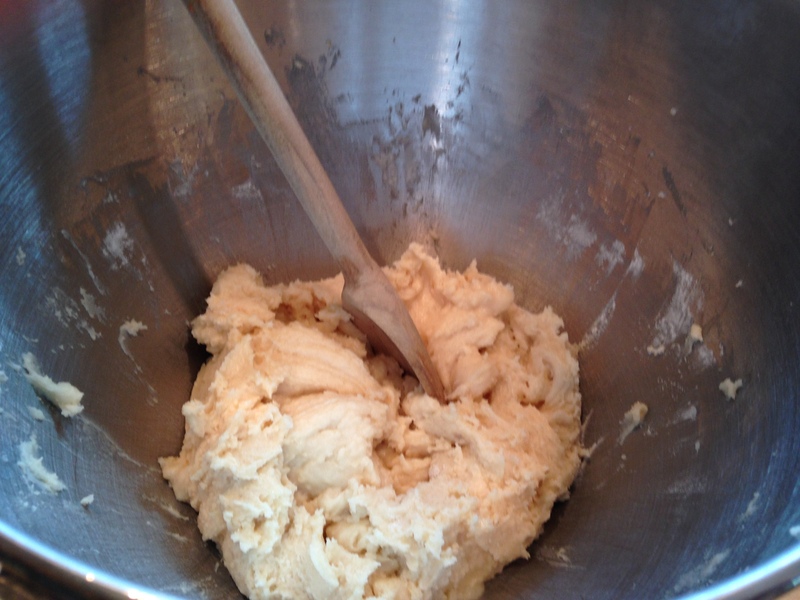 In a medium bowl, blend together the butter, 1/2 cup sugar, and flour until crumby and combined. 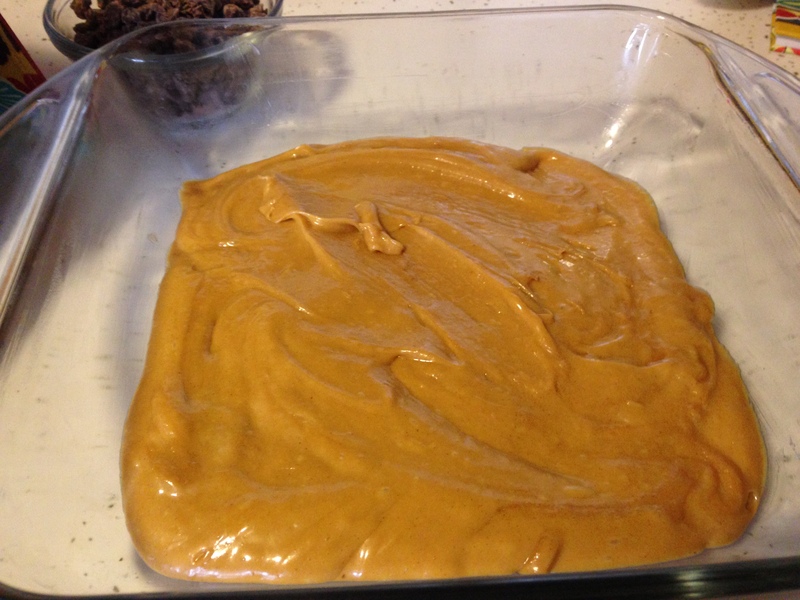 Press mixture into the bottom of a 9×13 inch pan. Bake at 350°F for 20-30 minutes or until edges are golden brown. 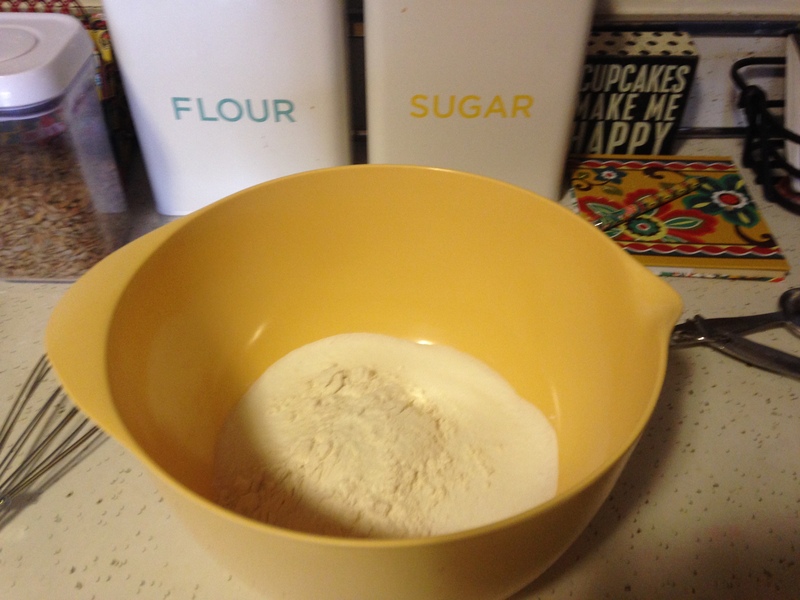 In a separate bowl, whisk together remaining flour and sugar. 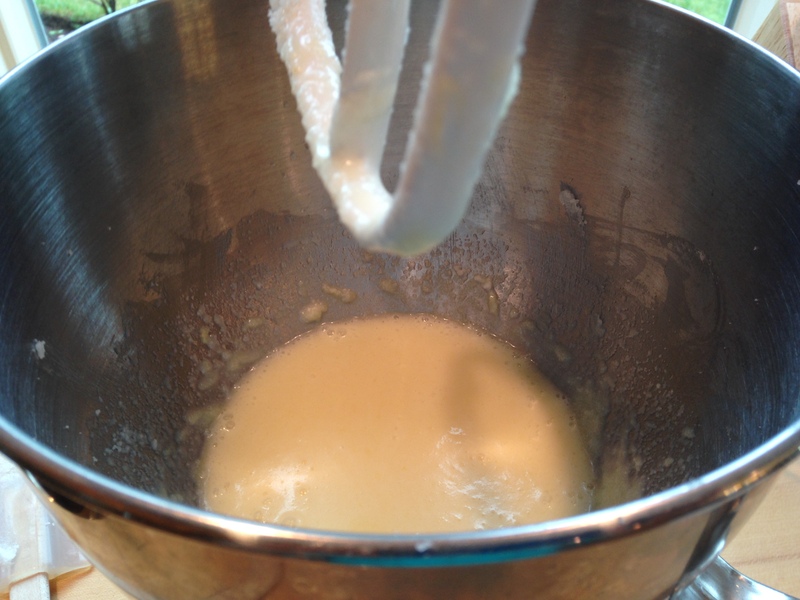 Whisk in eggs and lemon juice. Pour over base after removing from oven. Return to oven and bake for 20 more minutes. 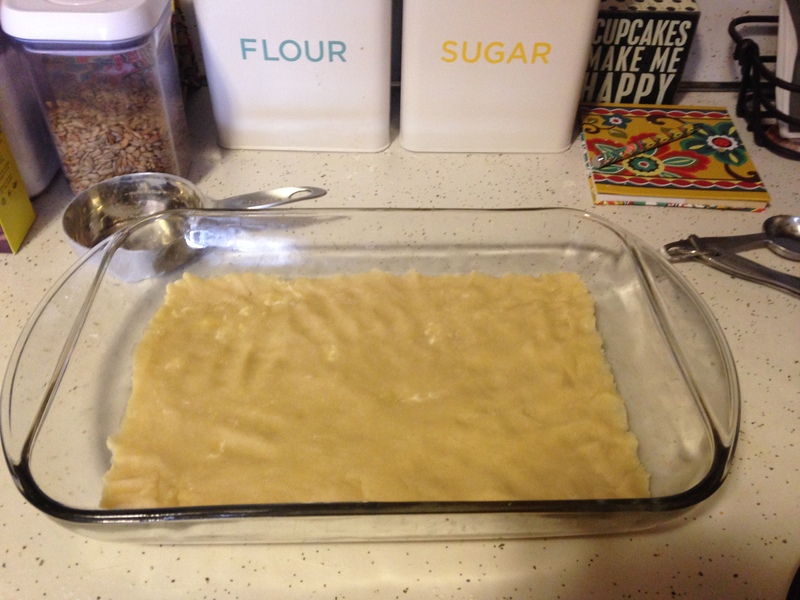 Allow to cool in pan before cutting into squares. I decided to be selfish this weekend. Usually, I love to bake things for other people. I bring treats into work and they disappear before 2nd period. I bring treats to my classes and my students remember that I can be cool on occasion. I bring treats to friends and make more friends. 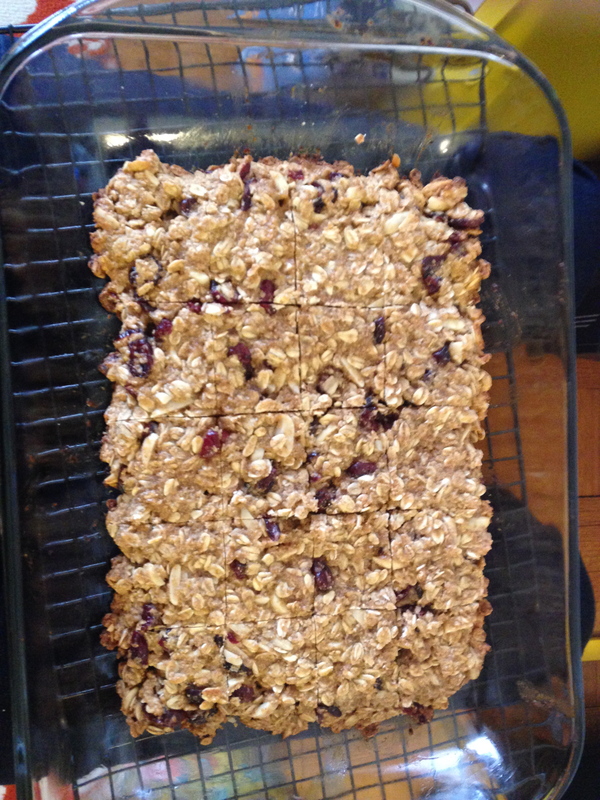 But this week I decided to make something only I would get to eat: granola bars. Now, I’ve made granola before, so if you’ve been reading me stuff for awhile, you know that I’m a little bit obsessed with the stuff. I recently became addicted to Kind bars, but part of me understands that that is because they are really candy bars in disguise. So, turning to Serious Eats, I found a recipe that claimed to be healthy and went for it. The healthy part was also appealing after spending my evening last night with some other teachers eating fried chicken and Portuguese egg tarts (thanks Tim!) – I needed to counteract that somehow. 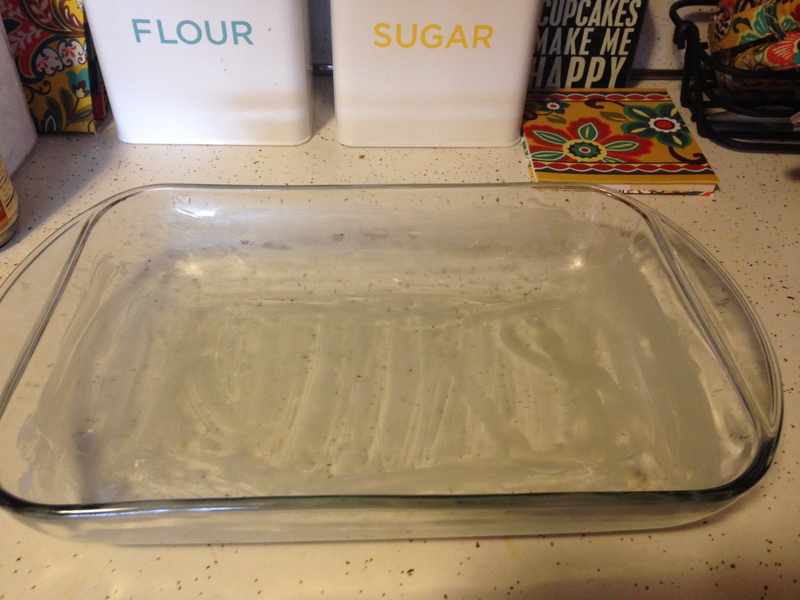 So without further ado, your first step is to generously grease a 9×13 inch glass baking dish. I know what you’re thinking – Meg, how is generous use of butter healthy? Let’s just assume it is and move on. 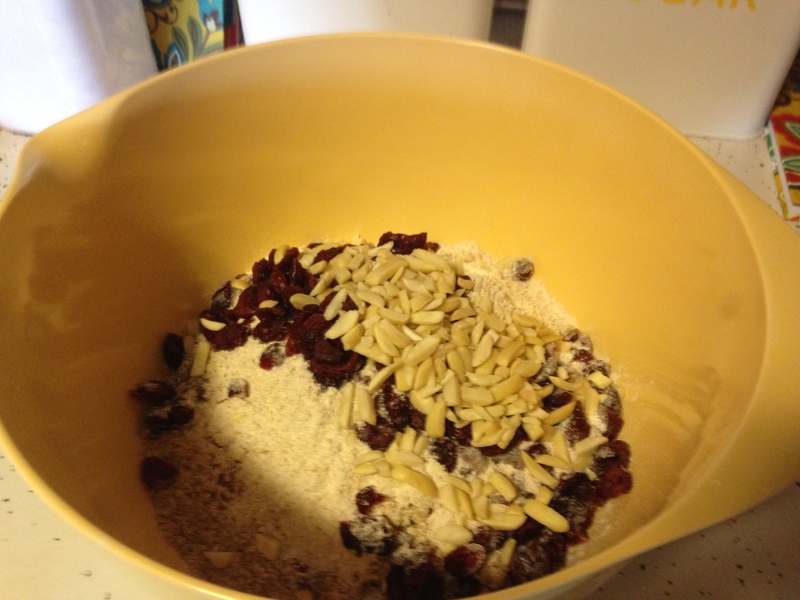 Next, mix together the oats, brown sugar, wheat germ, cinnamon, whole wheat flour, cranberries, and almonds in a large bowl. Second, I never toast nuts when recipes tell me to. I pretend it’s because I like how the nuts taste raw (which I do), but it’s more because I’m too afraid to burn them. And I’ve never had a situation where I didn’t toast the nuts and people found my baked good inedible. So I think that’s fine. 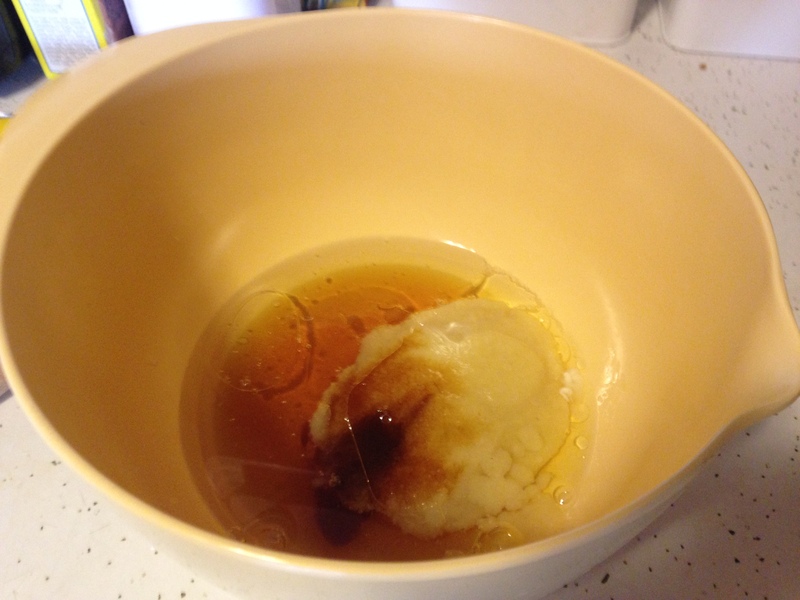 Next, in a separate medium bowl, whisk together the honey, egg whites, oil, applesauce (or mashed banana if that’s what you prefer), and vanilla extract. You’ll need to gain a little momentum with the whisk before you really get the honey going, but it does become pretty liquidy after a bit. I happened to be finishing one container of honey and moving on to a second for this project. Want to know what is infuriating? Trying to get the last couple drops of honey out of one of those little bears. It just doesn’t work. You would think someone would have thought of that before creating a bear with that many crevices – very impractical. 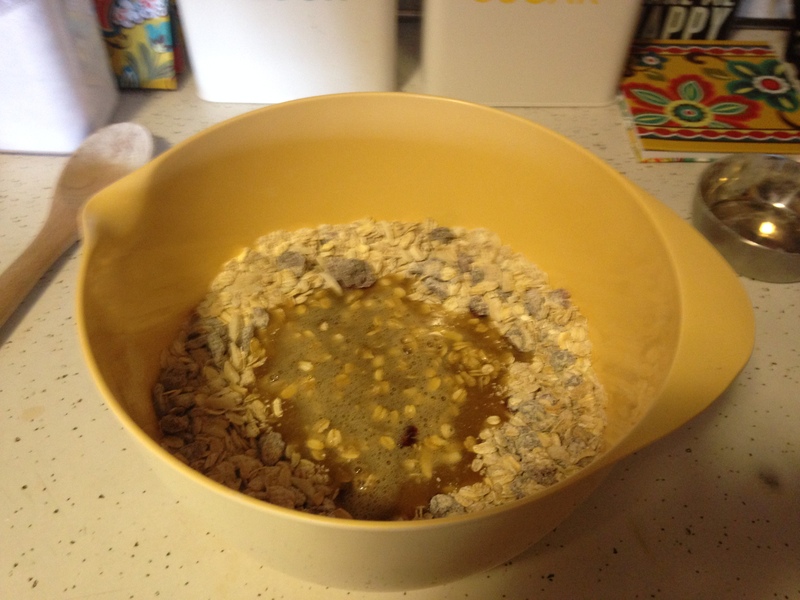 Anyways, you then create a well in the middle of the dry ingredients and pour in the honey mixture. Using your hands, work together the dry and liquid ingredients until they form a loose ball. This is very messy, but smells very good and tastes very good when you lick your fingers. 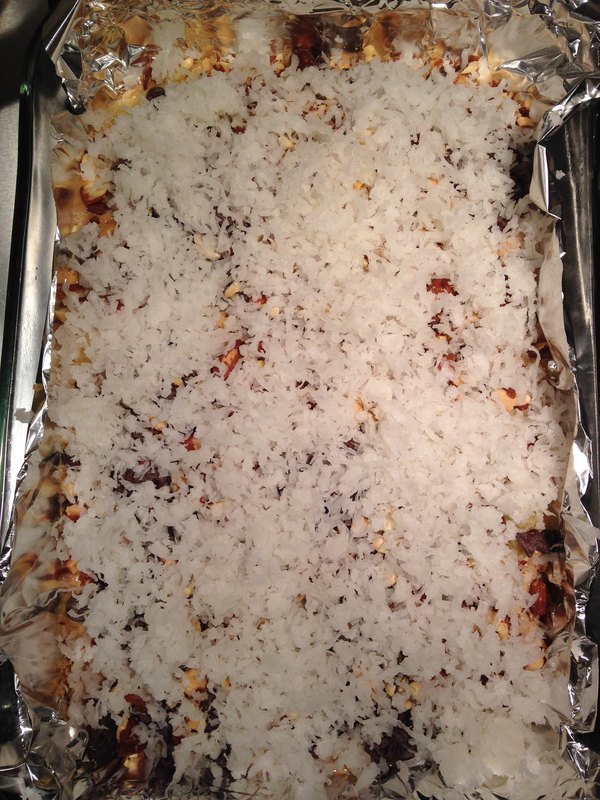 Flip the mixture into the baking dish and push it into a rectangle with about a half inch border around the outside. Bake at 350°F for 25 to 35 minutes, or until the outsides of the bars begin to brown. 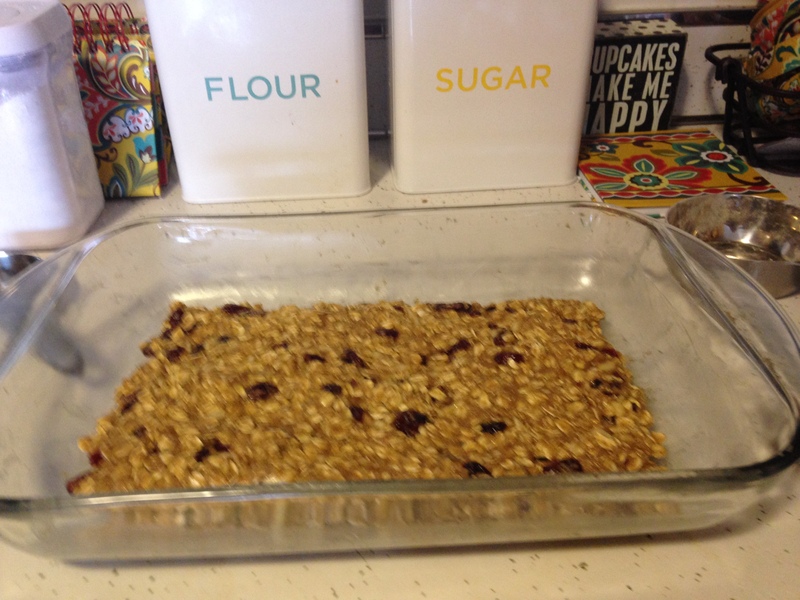 Then, allow to cool in the pan for 5 minutes before cutting into bars. I was able to get 20 squares out of it. Then, allow to cool completely on a wire rack before storing in an airtight container. 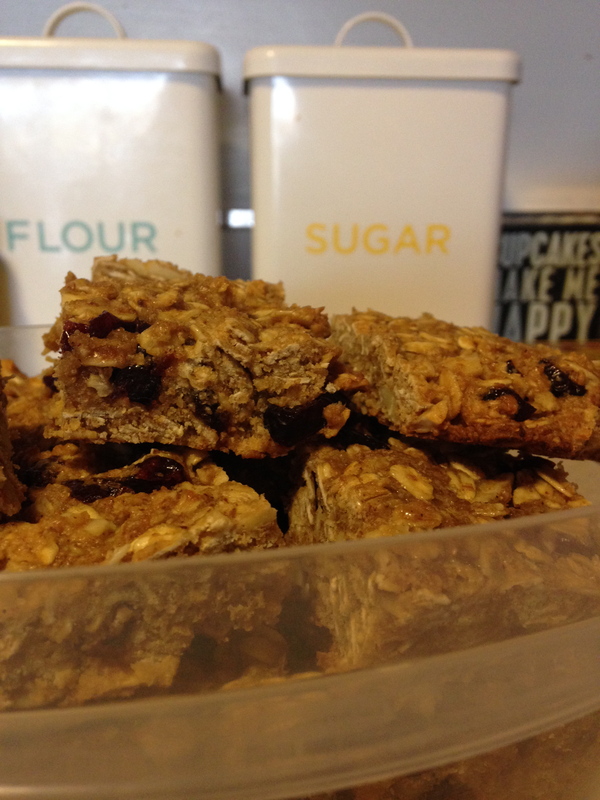 They end up being almost cookie-like in texture (probably because of the flour and eggs), but I’m still calling them a granola bar. You could also very easily substitute in different nuts or fruits based on what you like without any terrible consequences – I just happen to like almonds and cranberries (And craisins were on sale…). I can’t think of a reason they wouldn’t keep for a good long time in an airtight container – all that could happen is they get a little stale, which is fine since granola bars are supposed to be crunchy anyways. Generously grease a 9×13 inch glass pan. 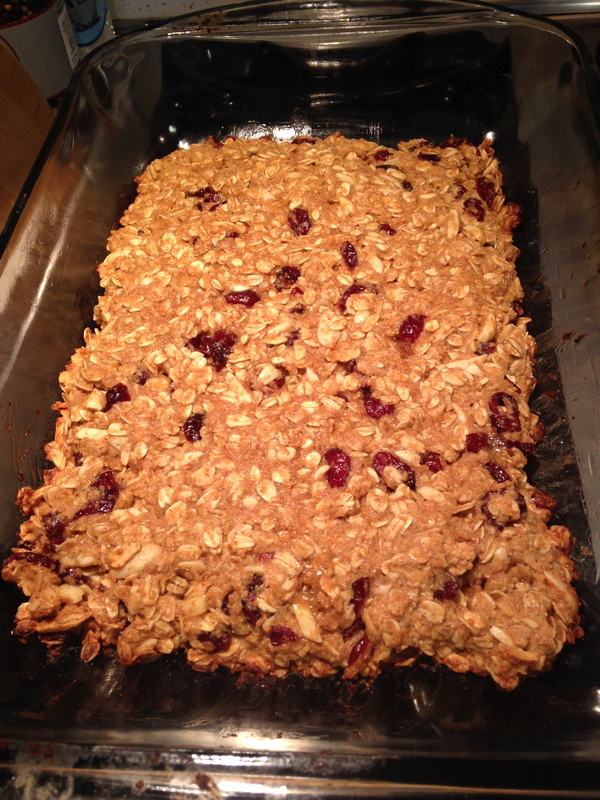 Mix together oats, brown sugar, wheat germ, cinnamon, flour, cranberries and almonds in a large bowl. 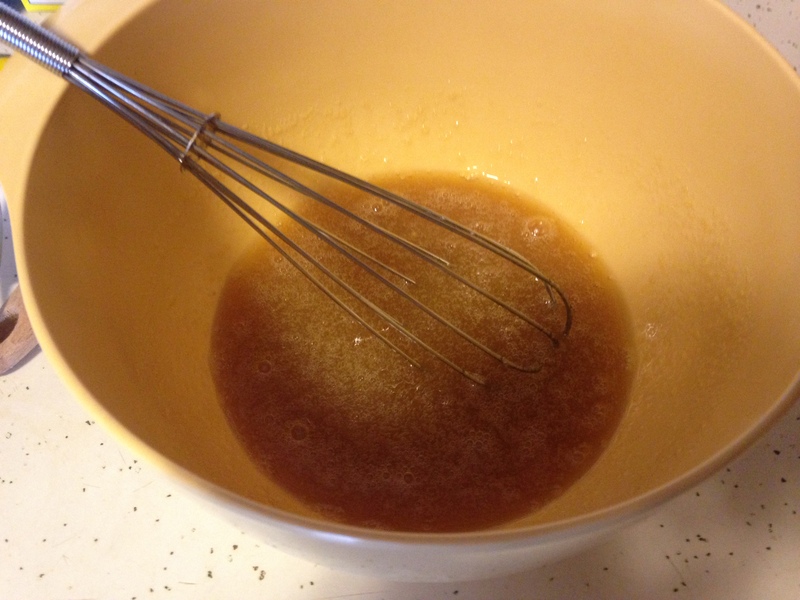 Whisk together honey, egg whites, oil, applesauce and vanilla extract in a medium bowl. Make a well in the middle of the dry ingredients and add the liquid ingredients. Work into a loose ball using your hands. 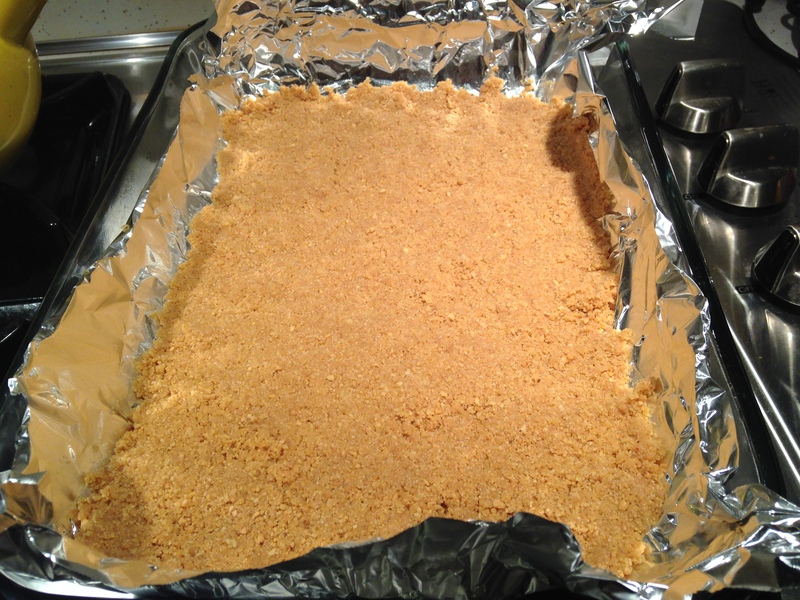 Turn out onto the baking dish and press into a rectangle, leaving a 1/2 inch border around the outside. Bake at 350°F for 25 to 30 minutes or until edges get brown. Allow to cool in pan 5 minutes before cutting into 20 bars and removing to wire rack to cool completely.